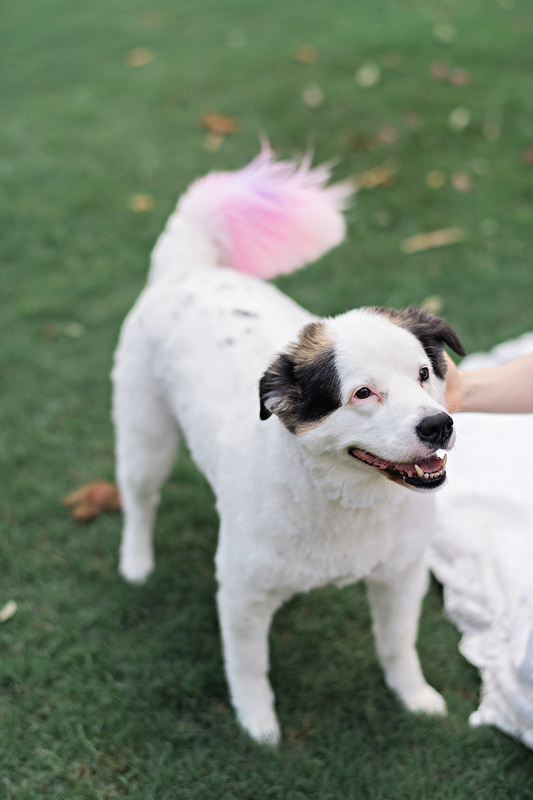 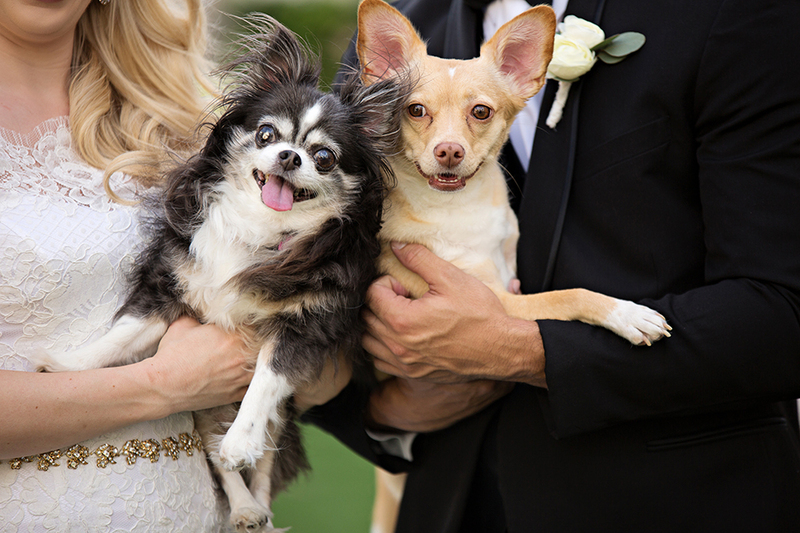 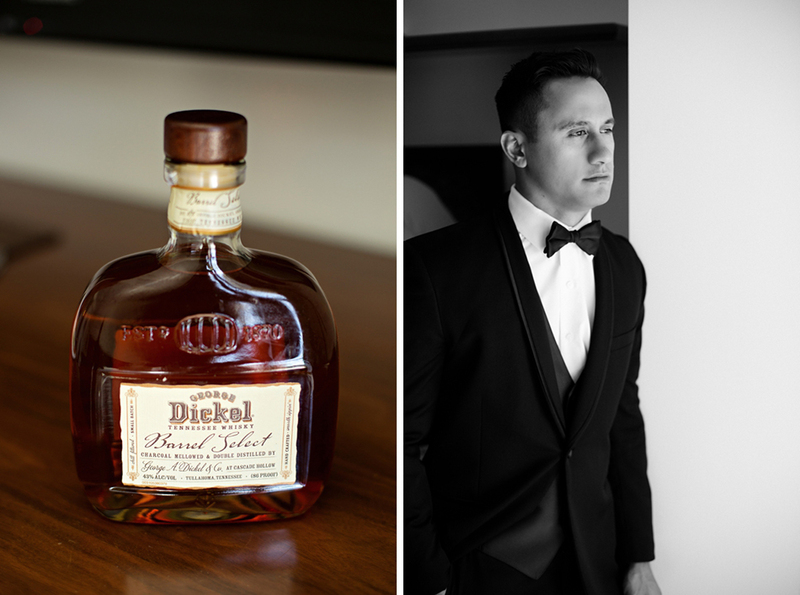 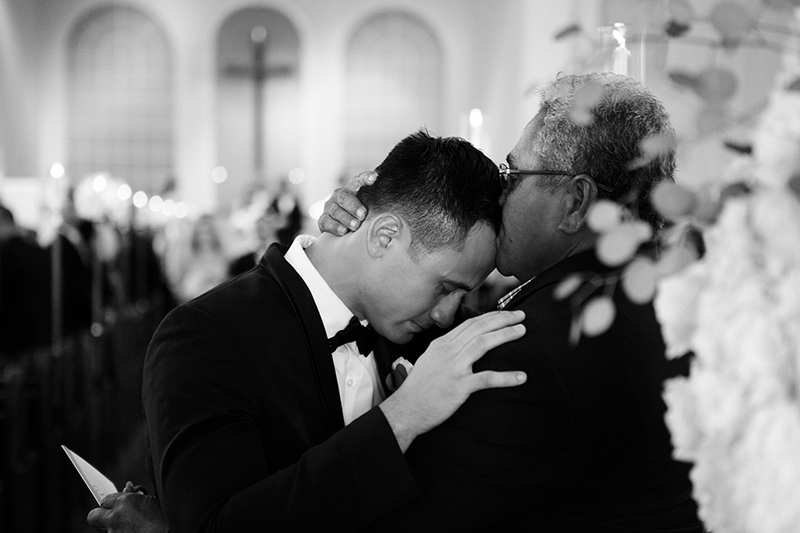 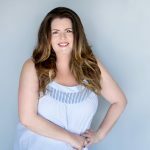 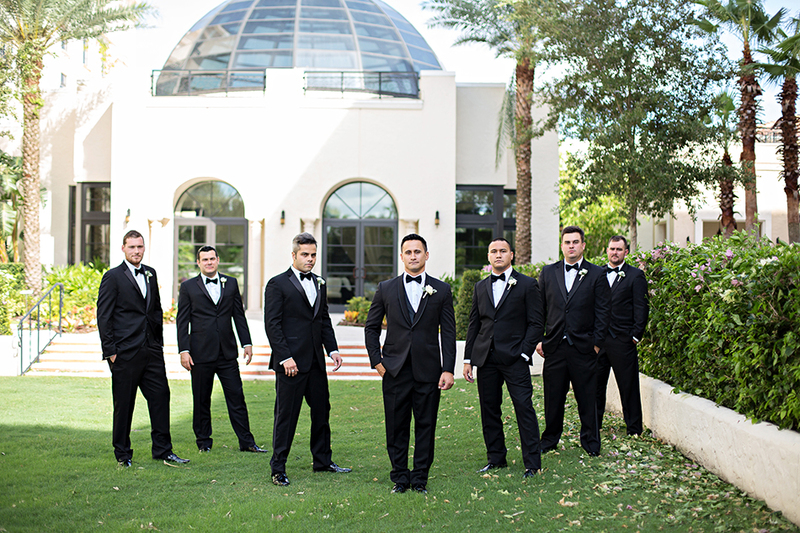 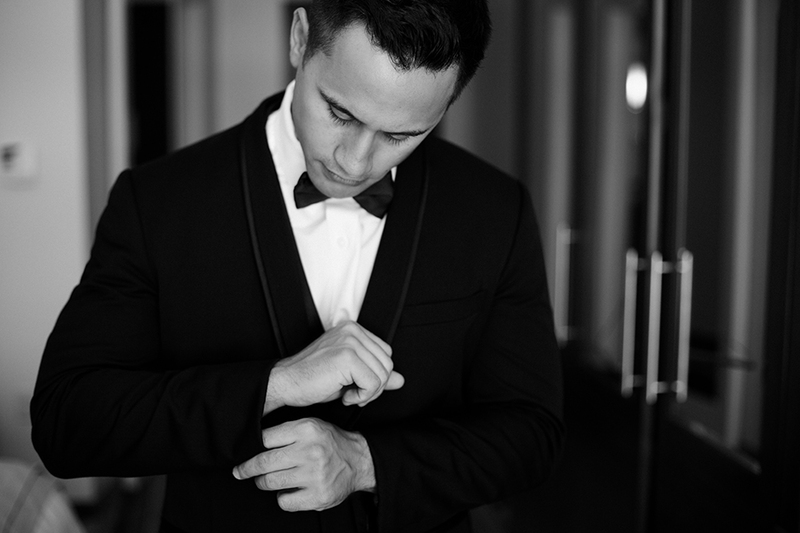 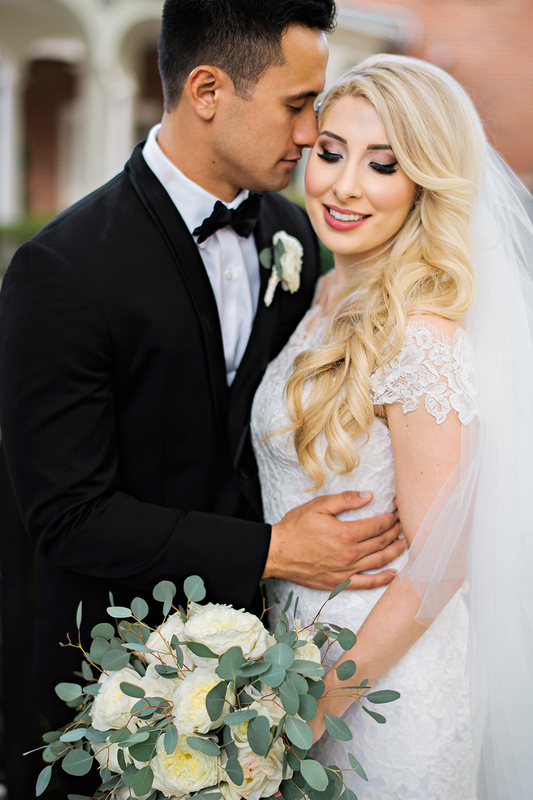 We honestly had moments the week leading up to Ashley, a lifestyle and fashion blogger, and Kurtis’s wedding that we weren’t sure there would even be a wedding! 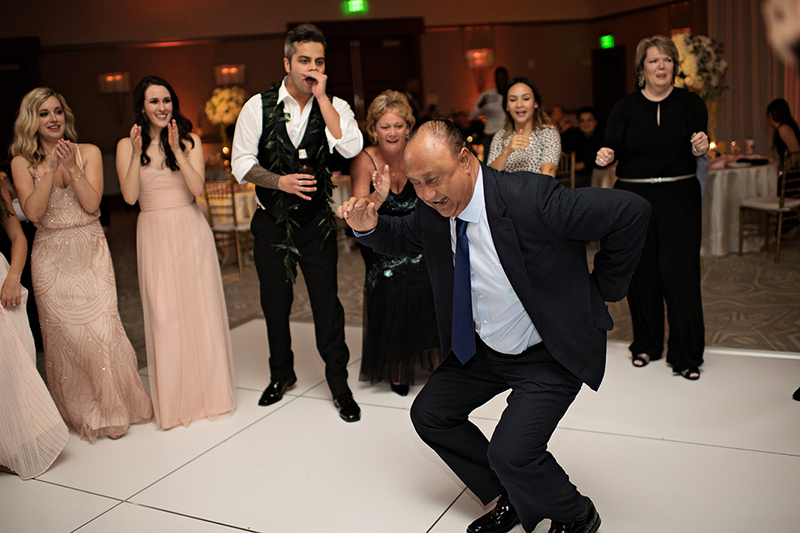 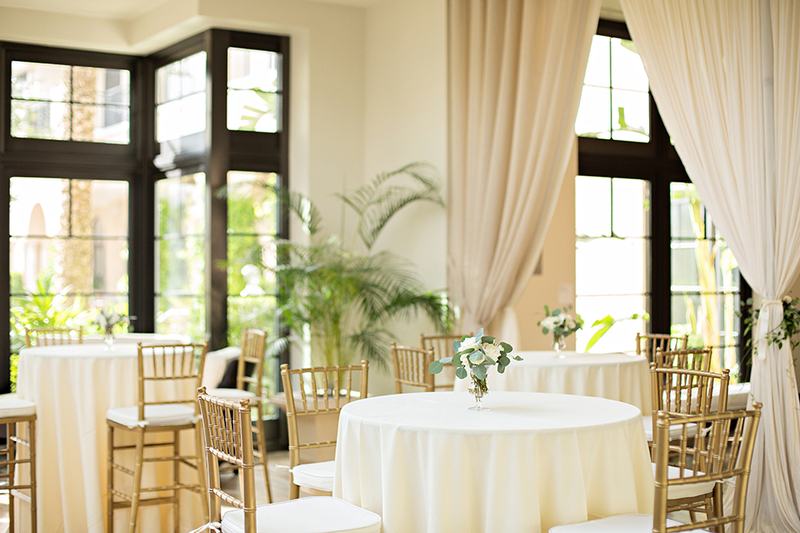 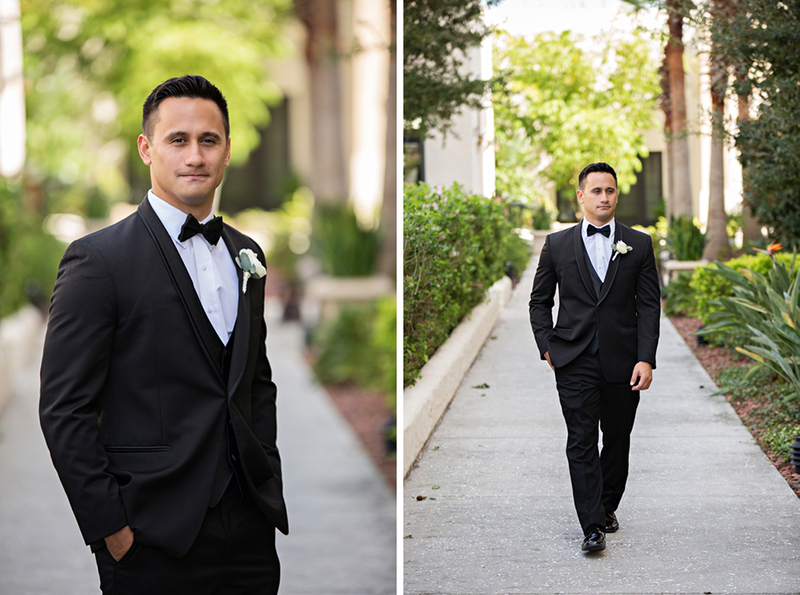 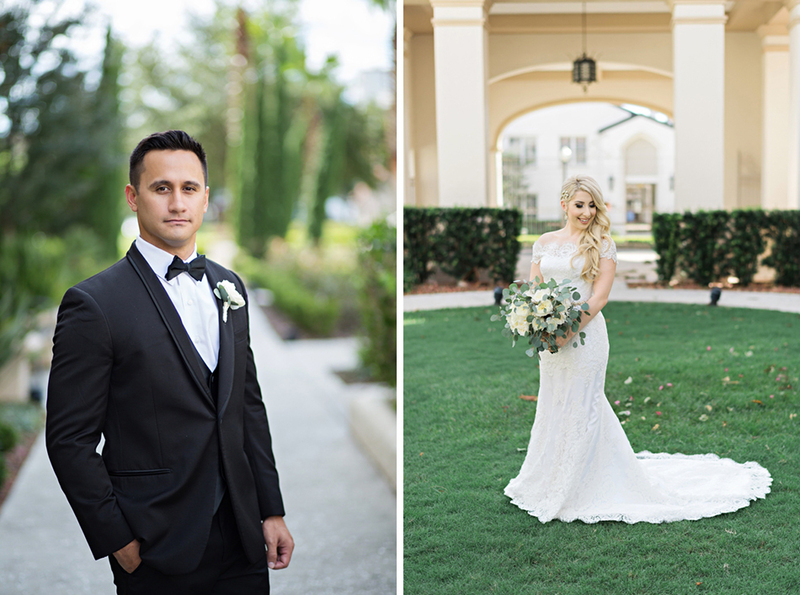 With Hurricane Matthew scheduled to hit Central Florida the day before their event, and mandatory curfews imposed even the morning of their wedding, we were definitely preparing for every kind of Plan B, C, D… the list goes on! 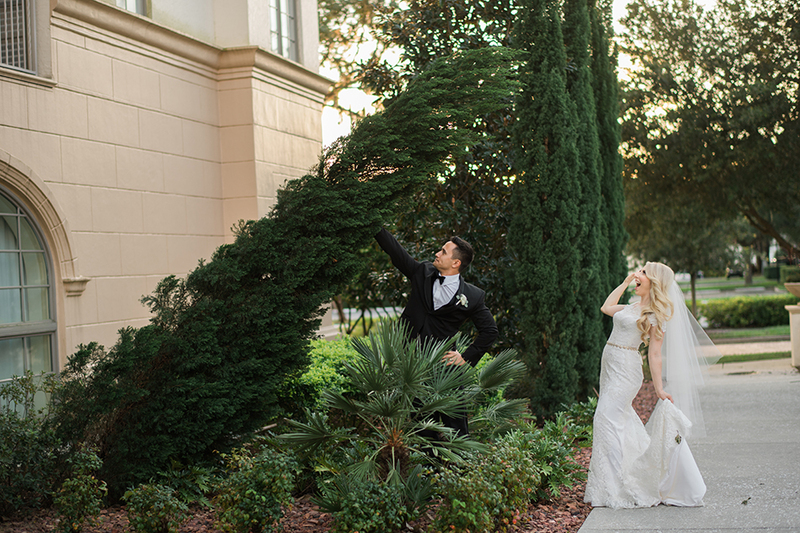 But much to our surprise, Orlando was saved from anything too bad and Ashley and Kurt woke up to perfectly beautiful weather! 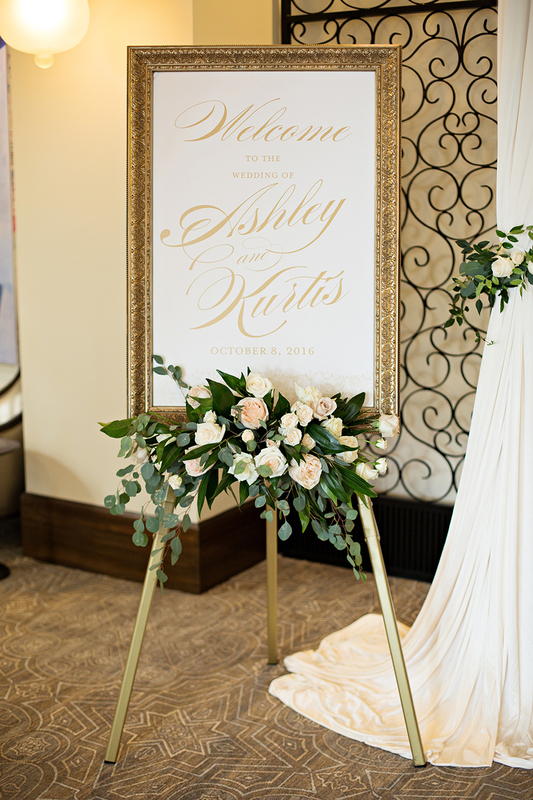 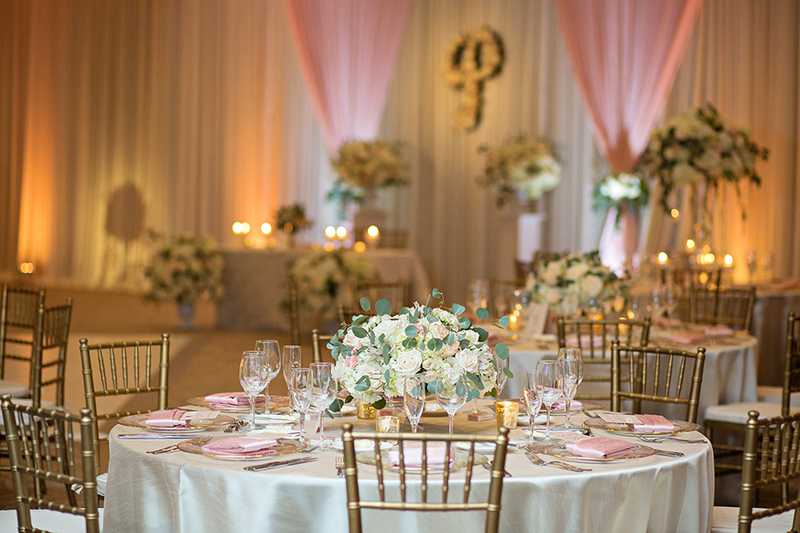 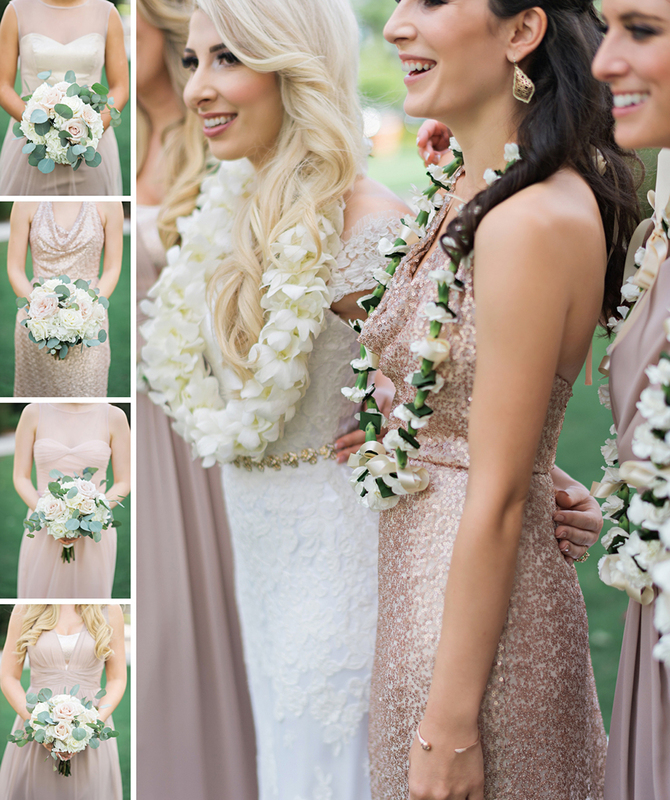 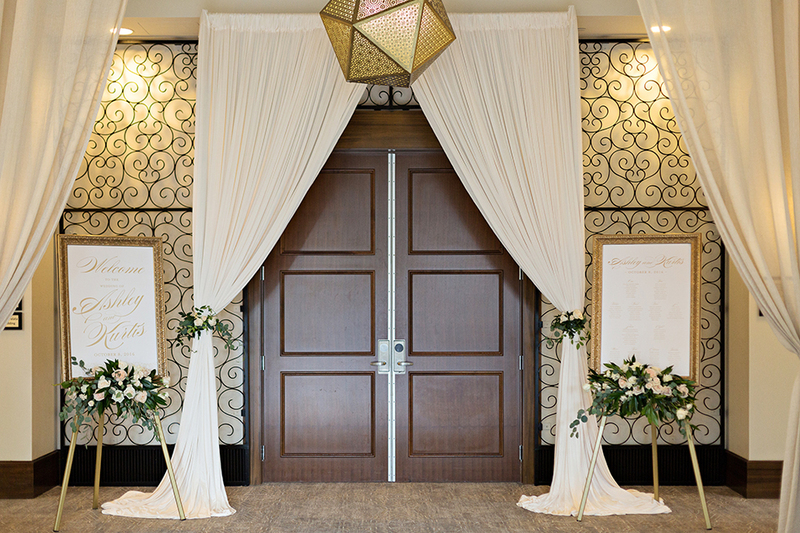 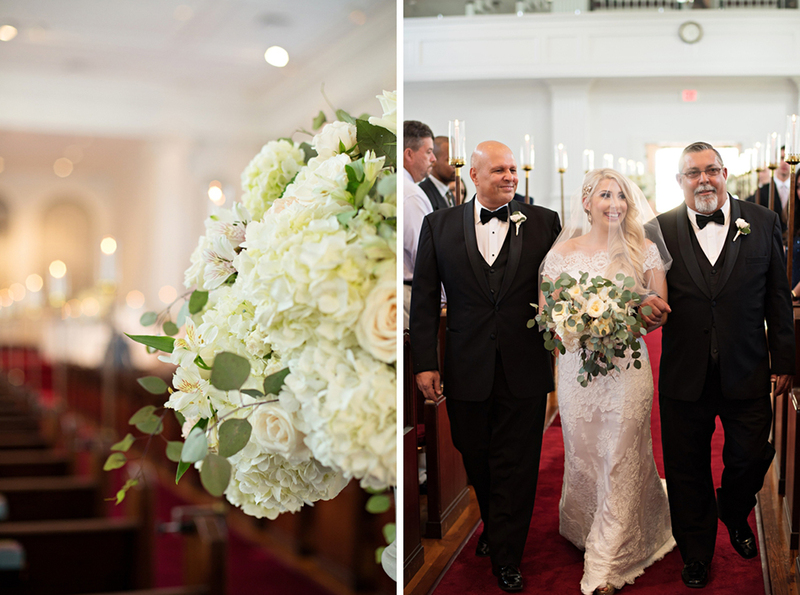 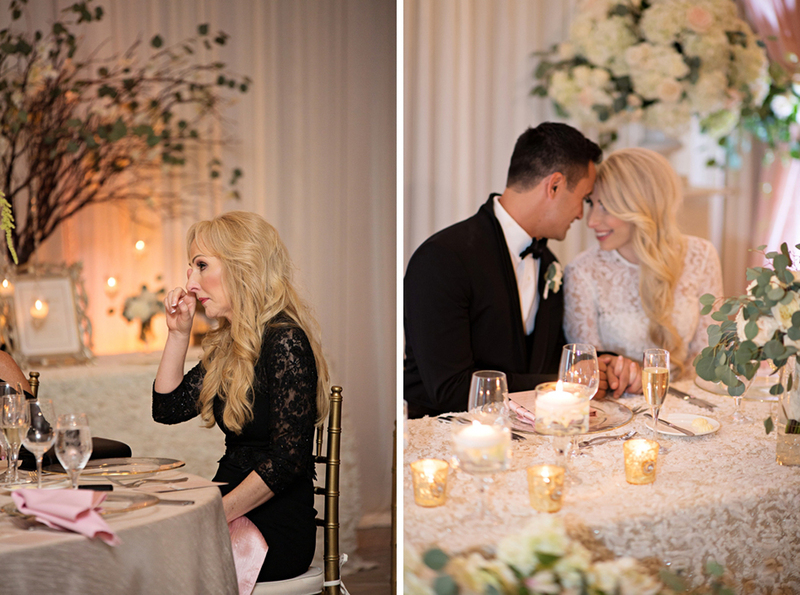 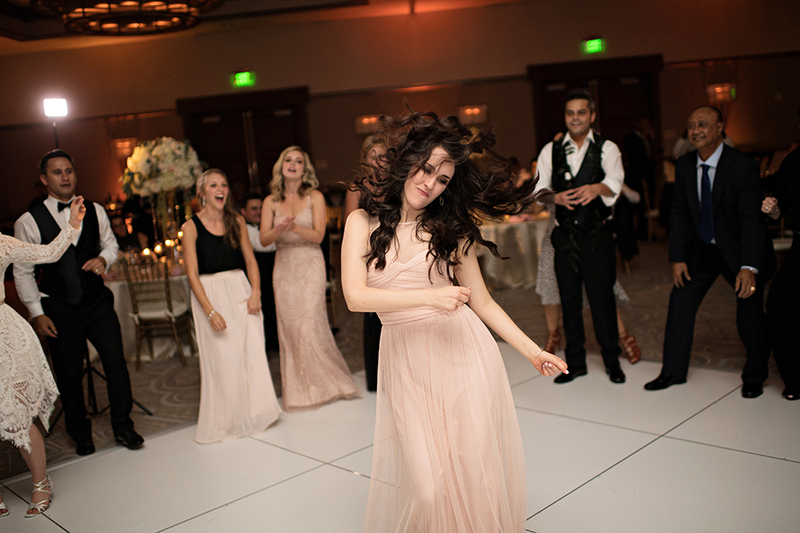 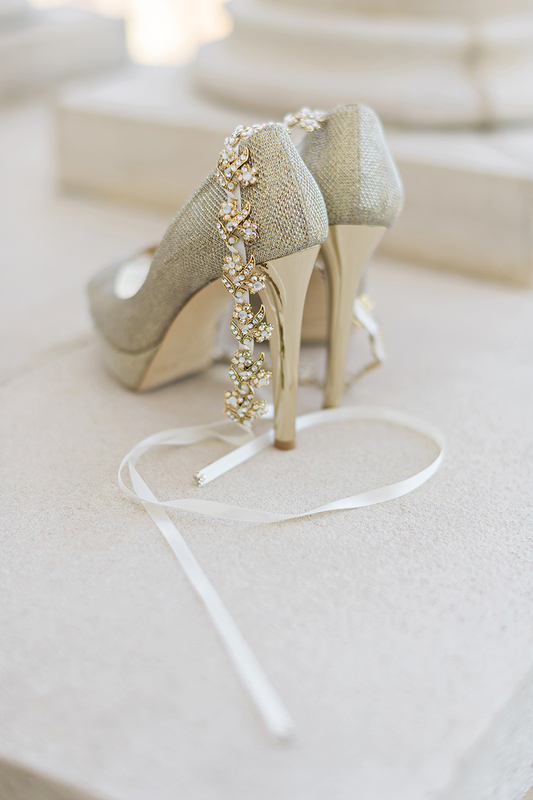 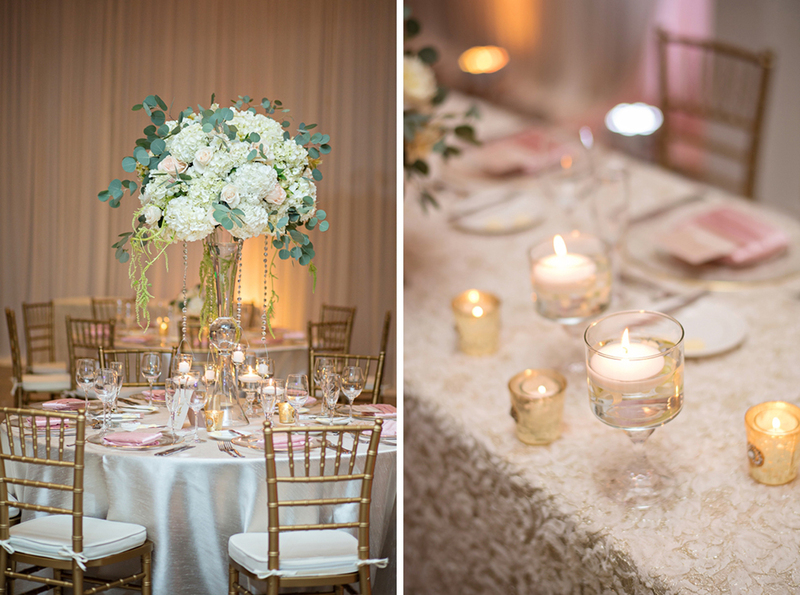 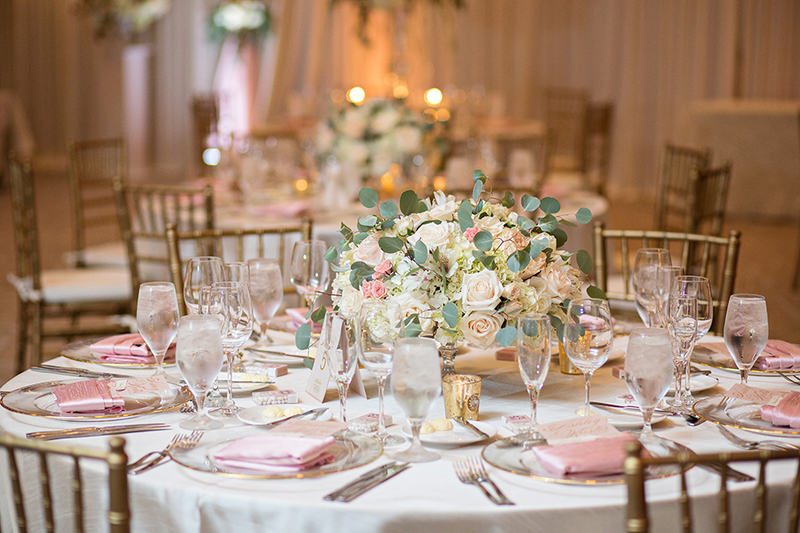 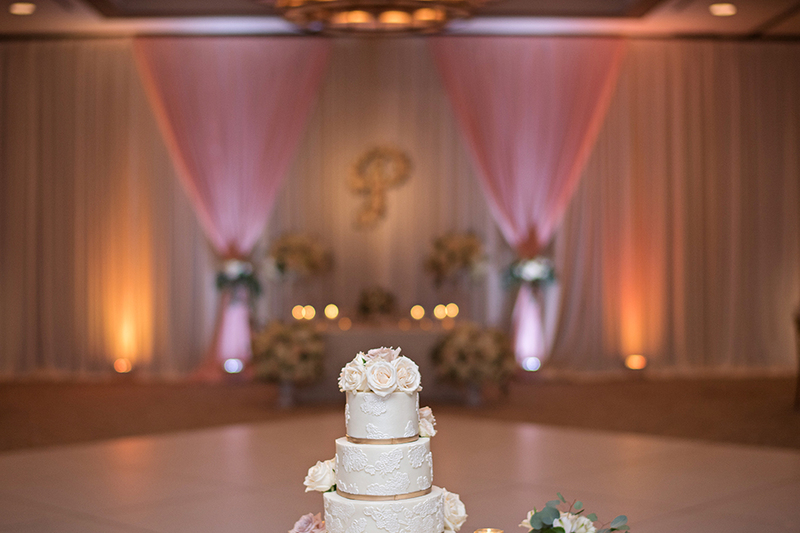 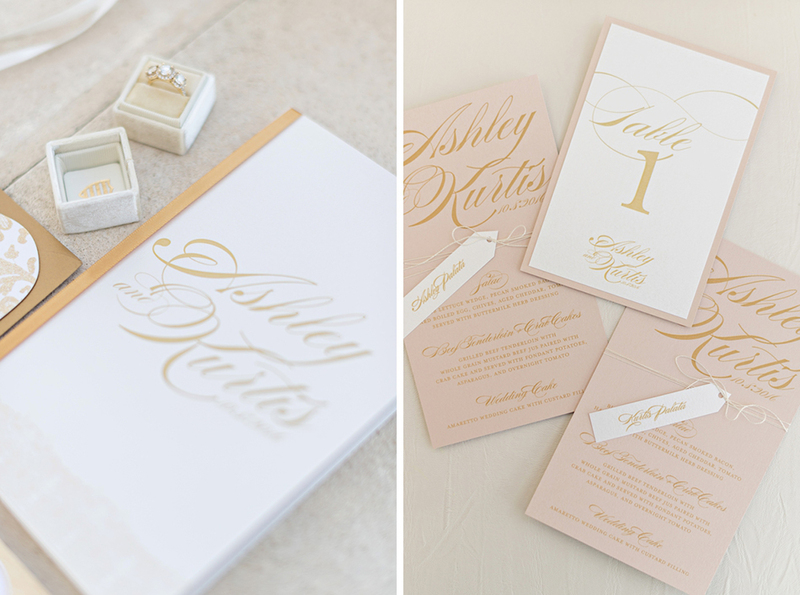 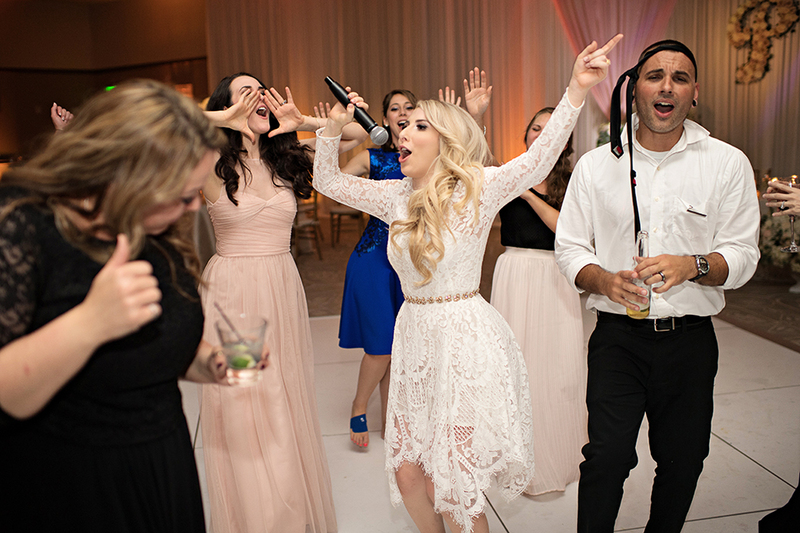 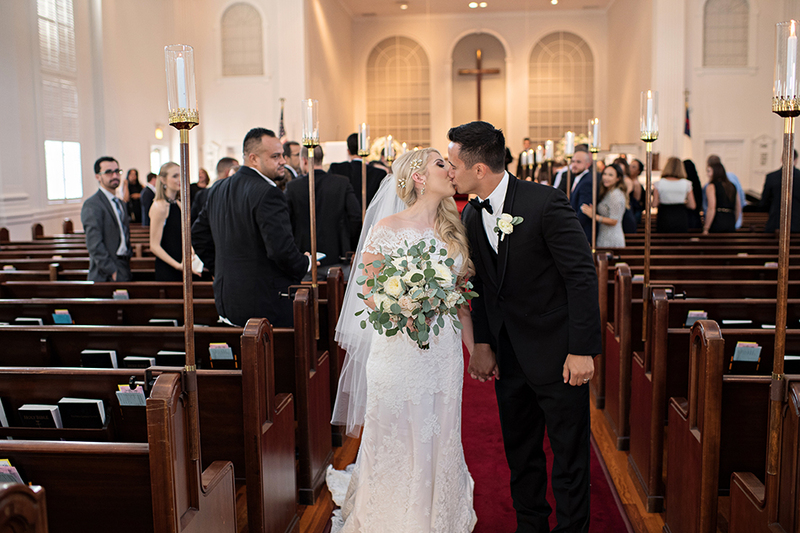 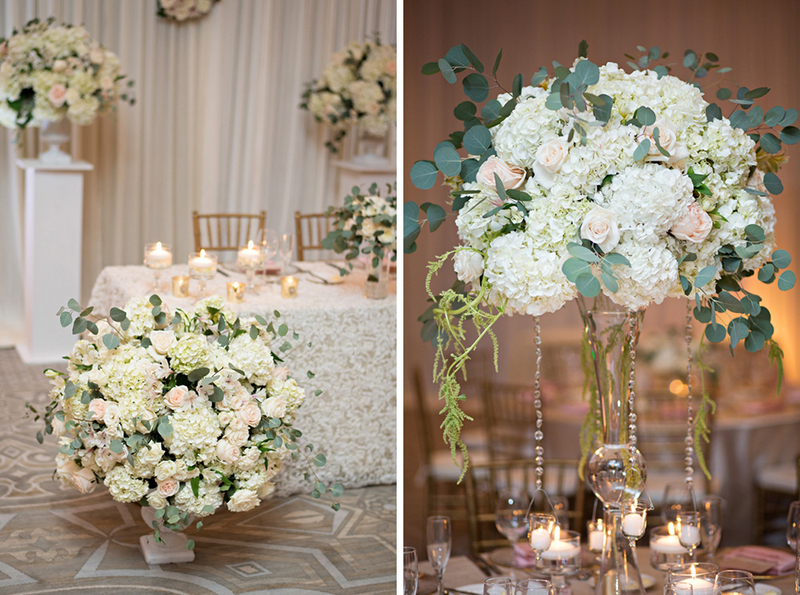 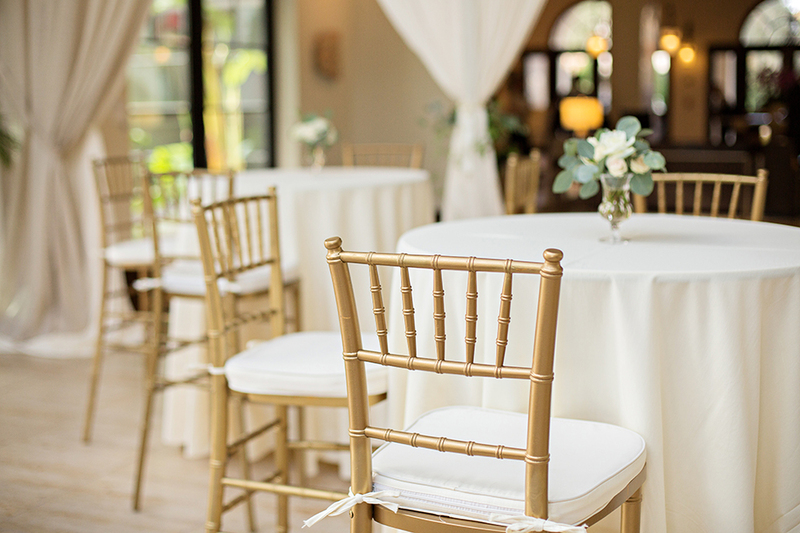 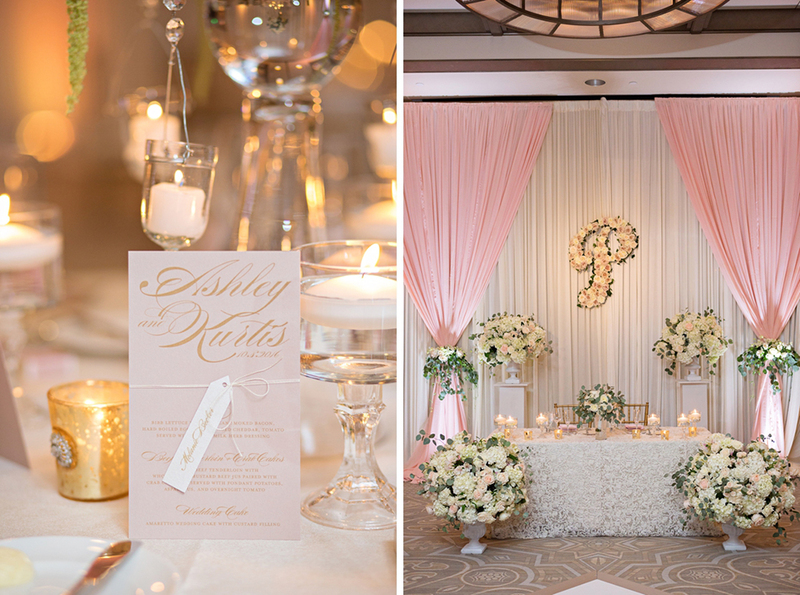 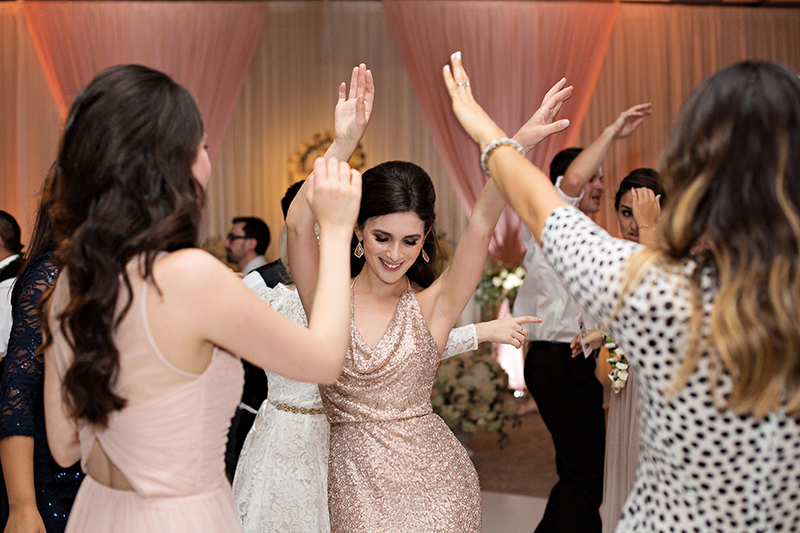 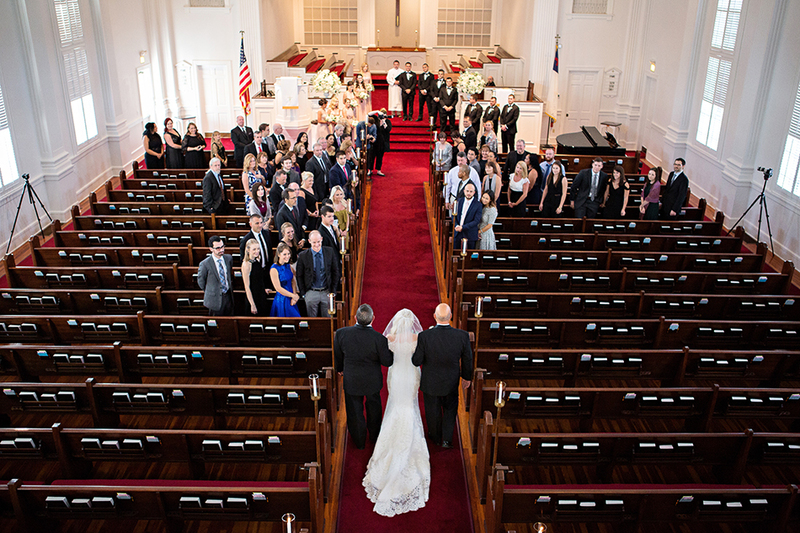 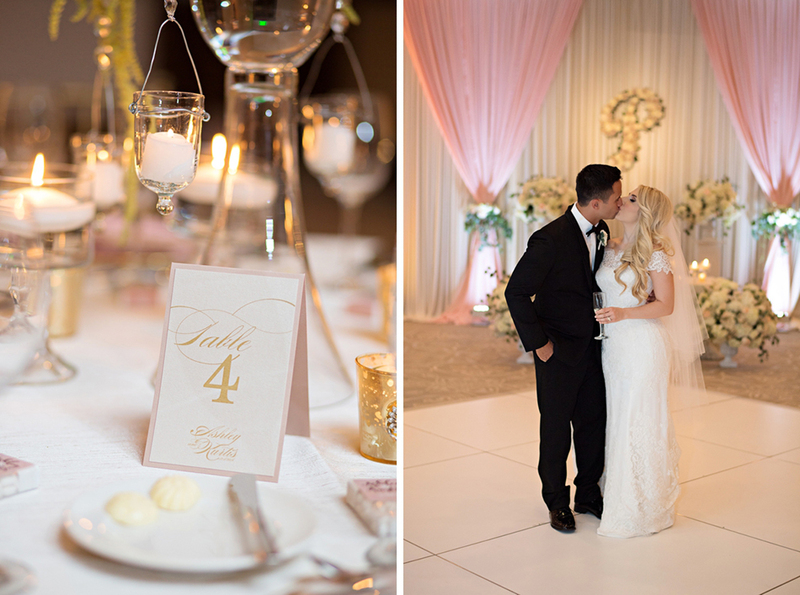 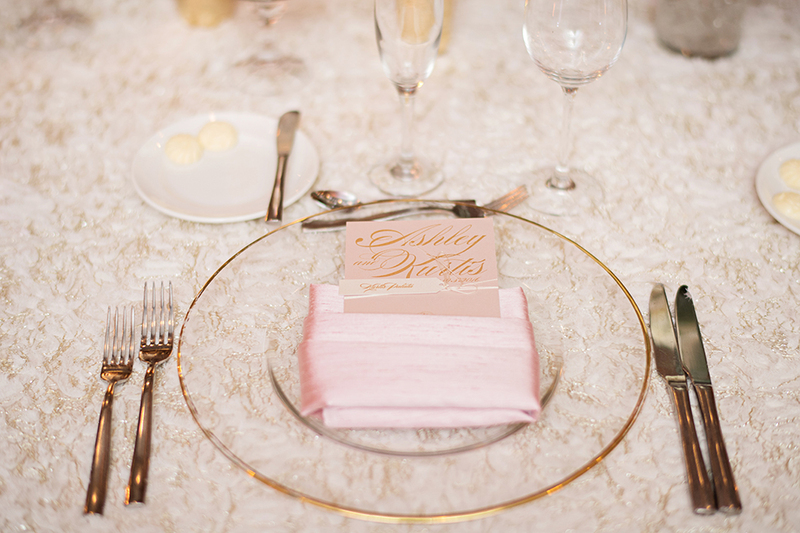 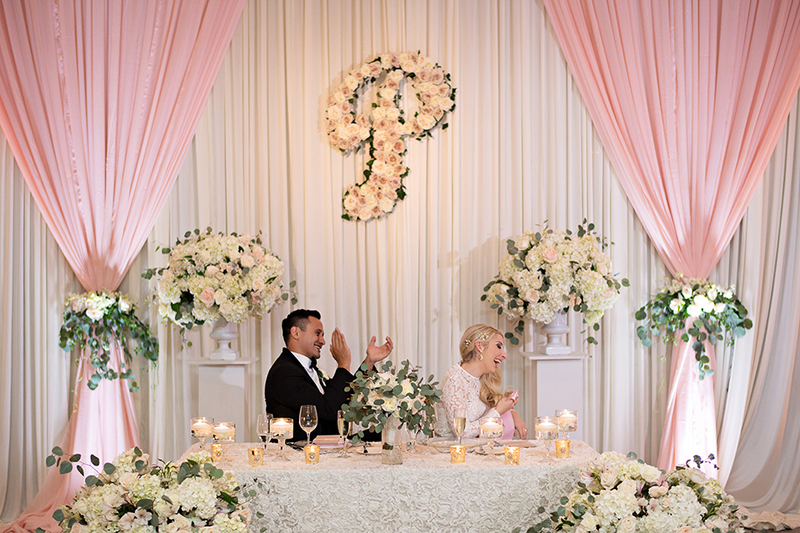 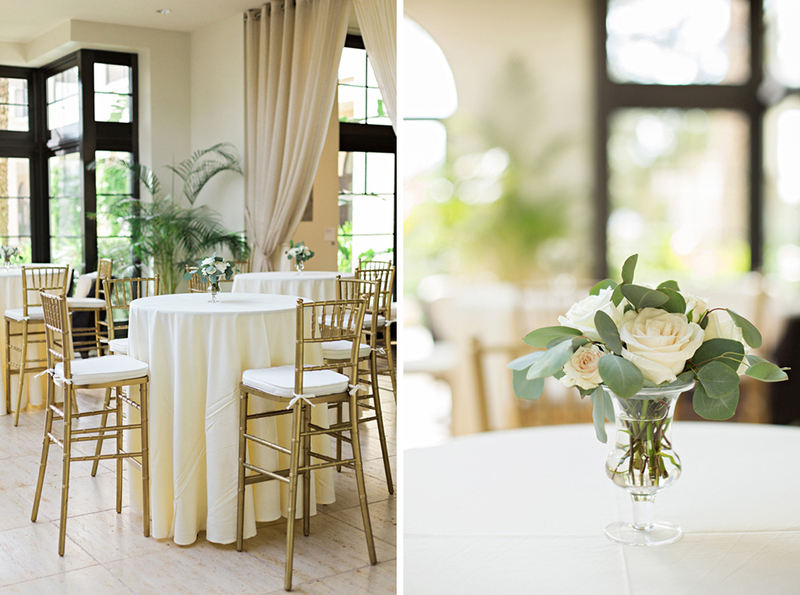 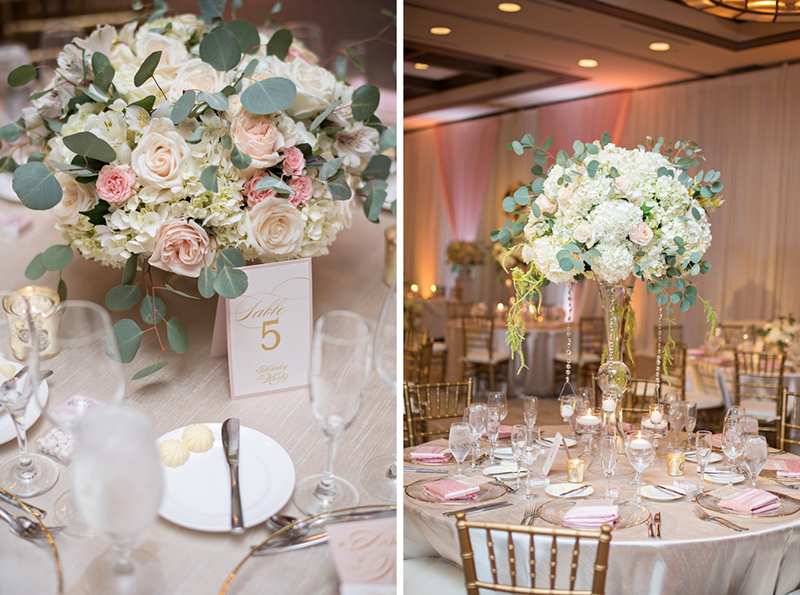 Even better than what we normally experience during our “hurricane season” – and the wedding day went off without a single hiccup!Ashley designed her wedding with a modern romance vibe – lots of neutrals, champagne, and dusty pink colors accented by gold and white details. 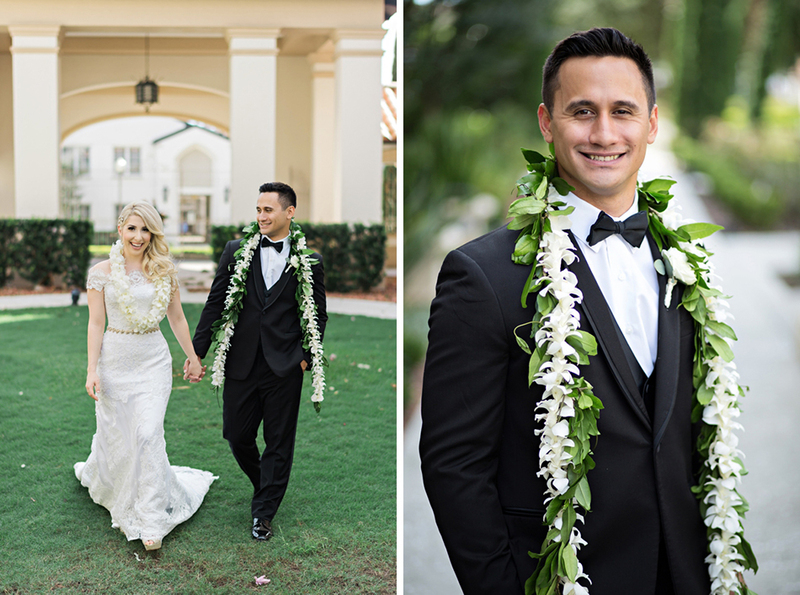 Bringing in Kurt’s Samoan culture, they wore specially designed Leis and danced to some traditional island moves from Samoa. 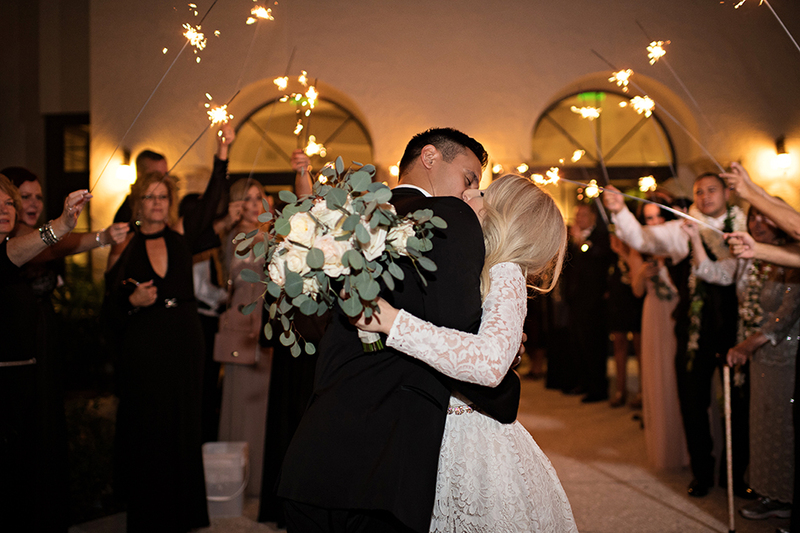 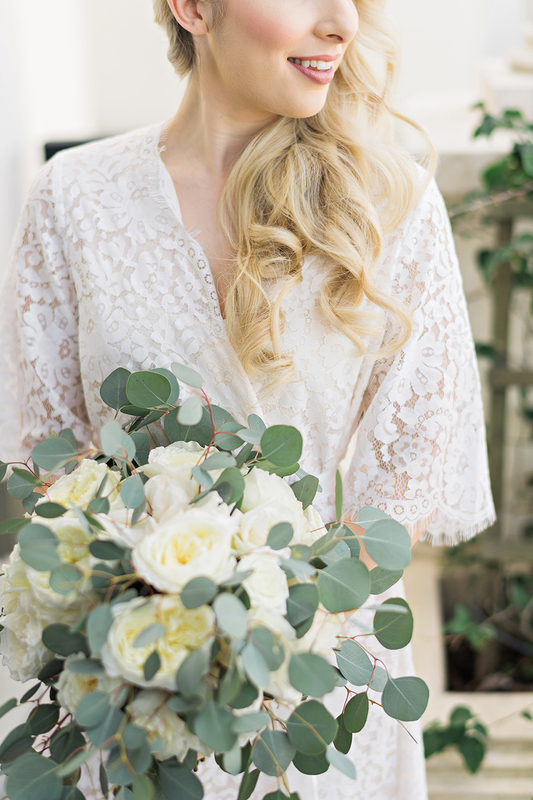 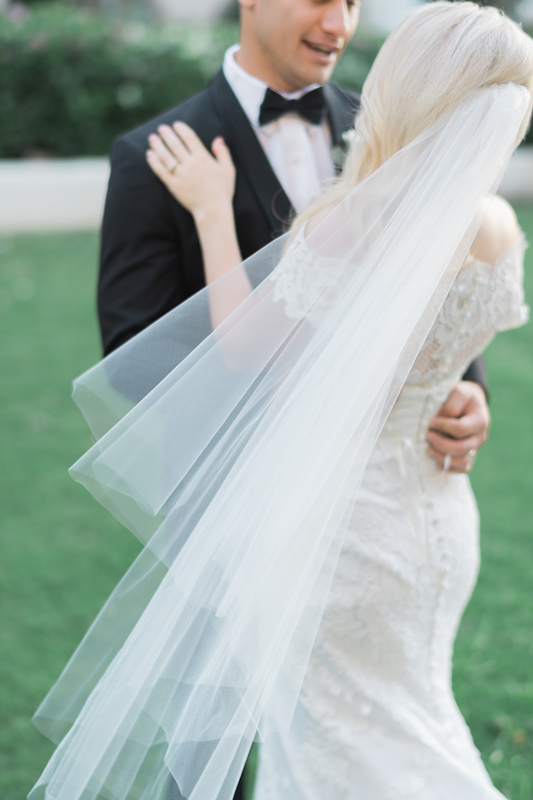 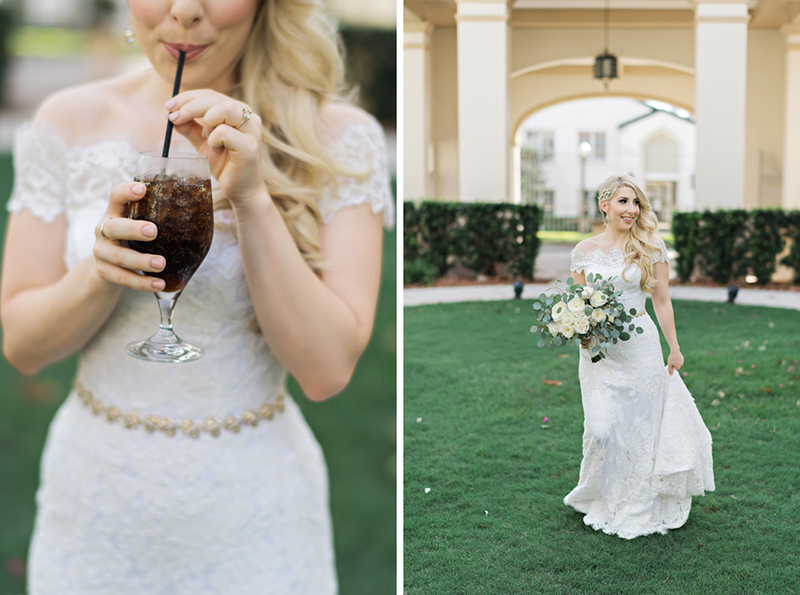 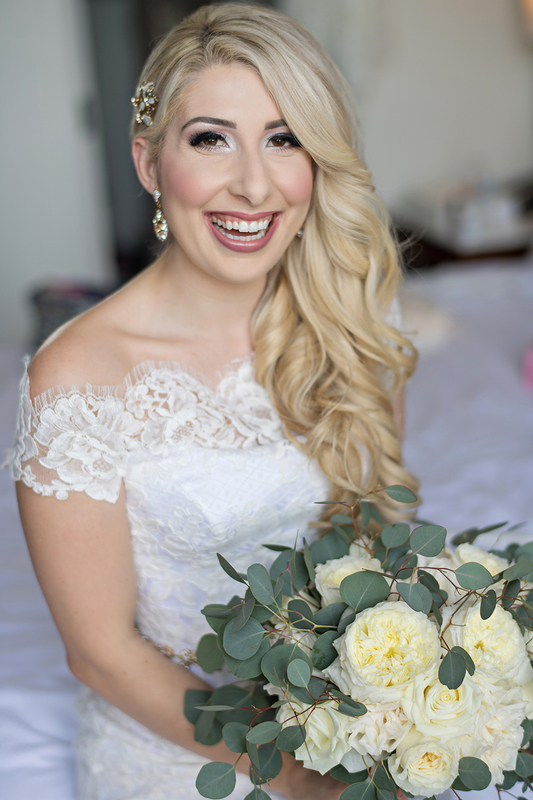 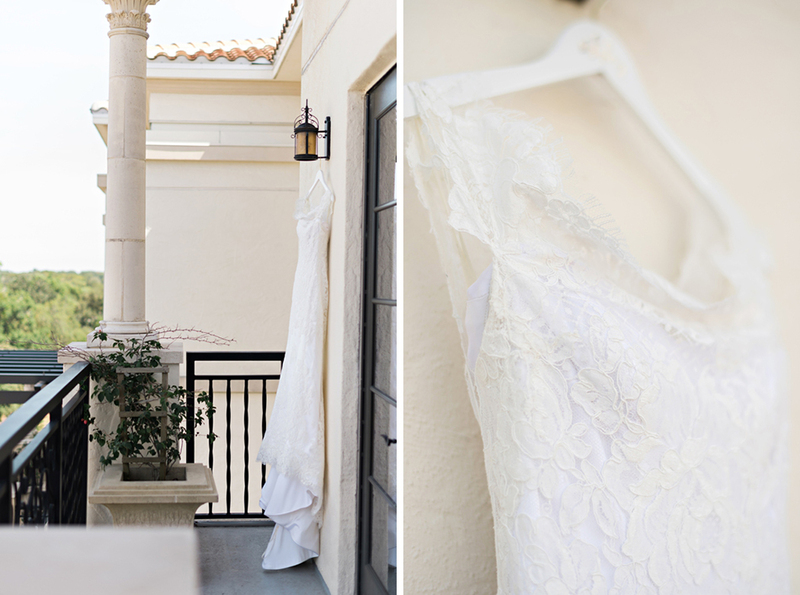 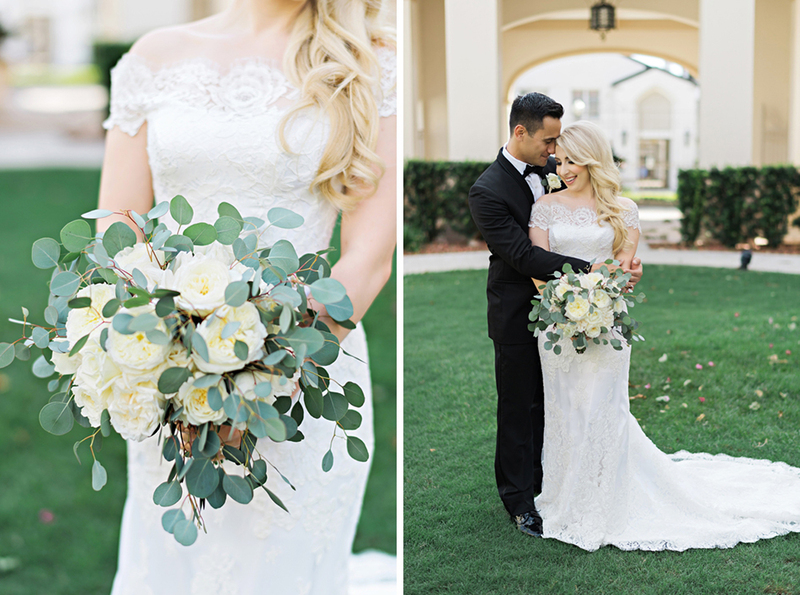 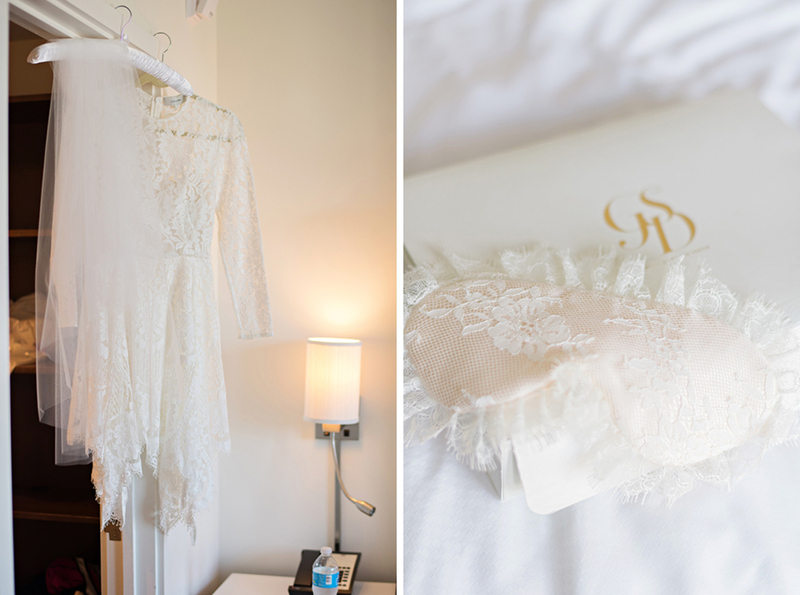 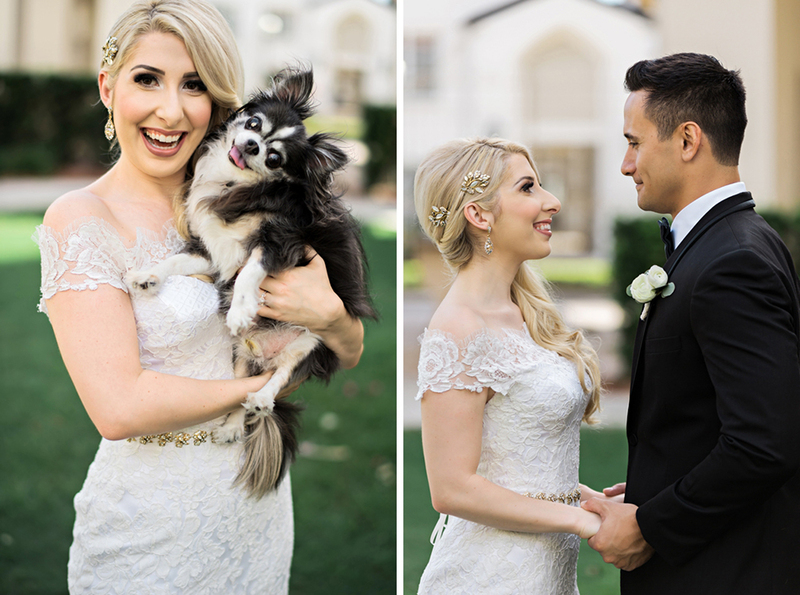 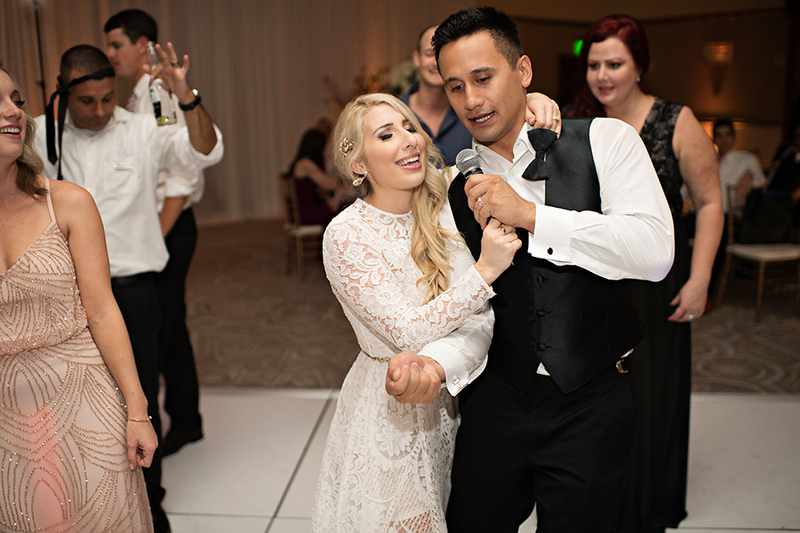 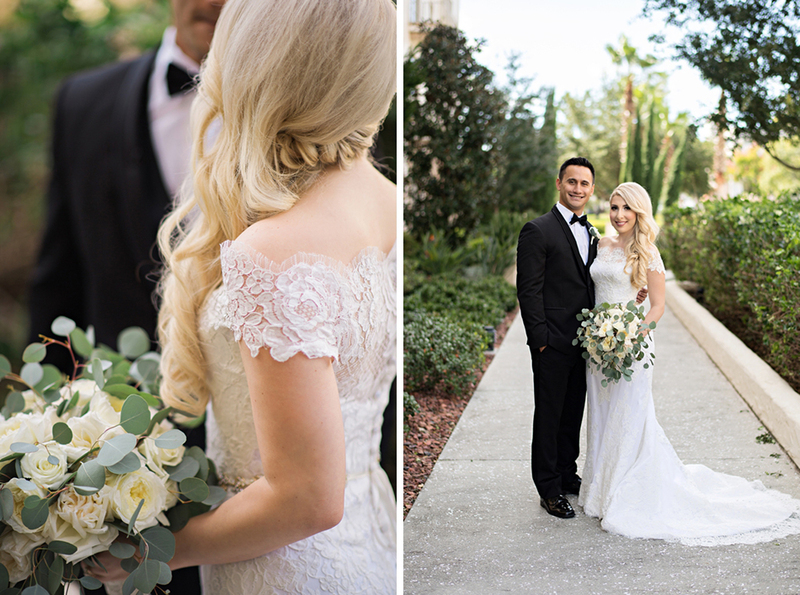 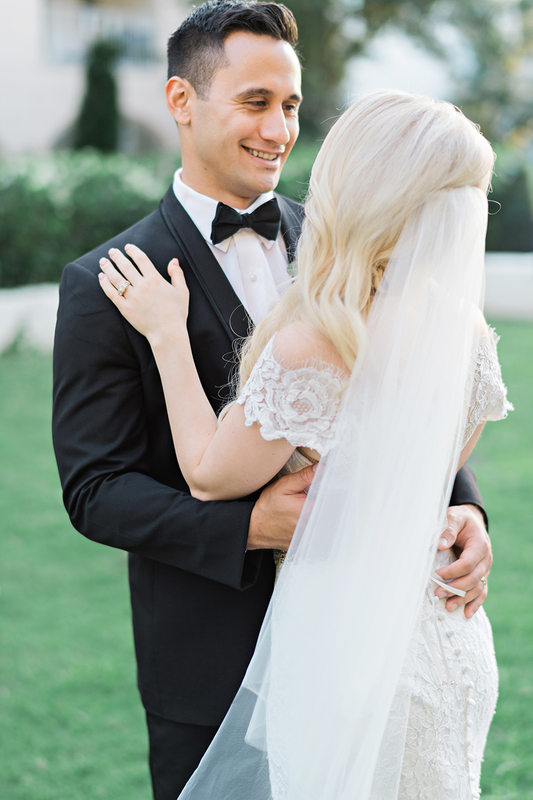 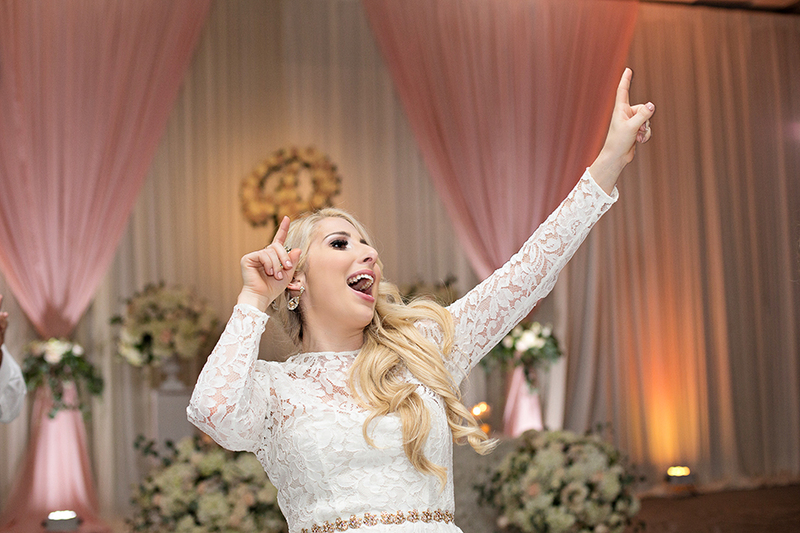 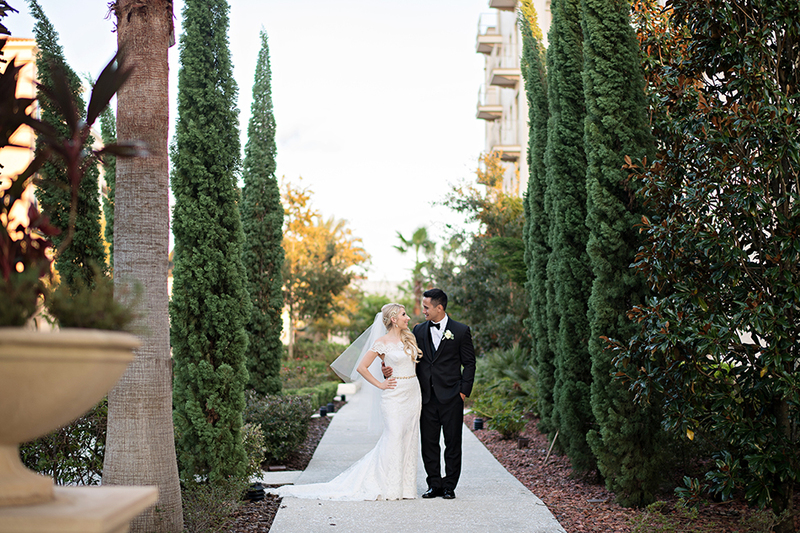 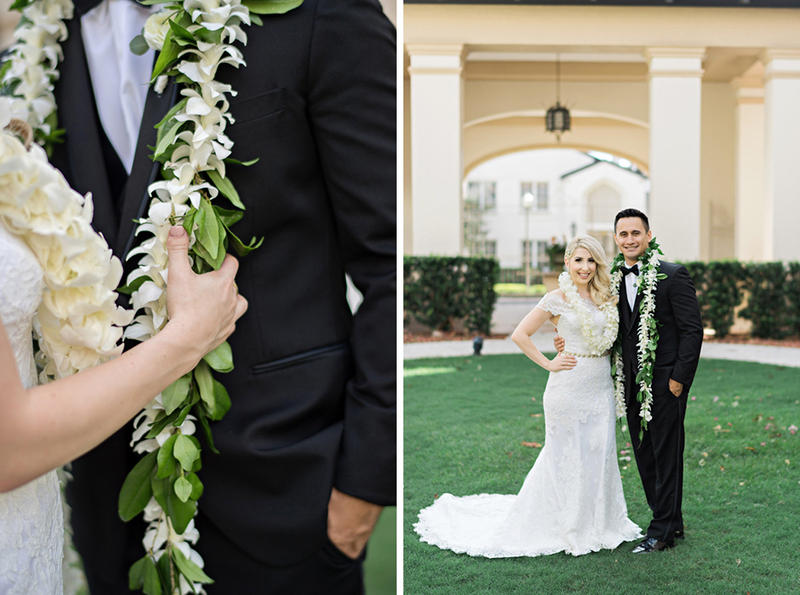 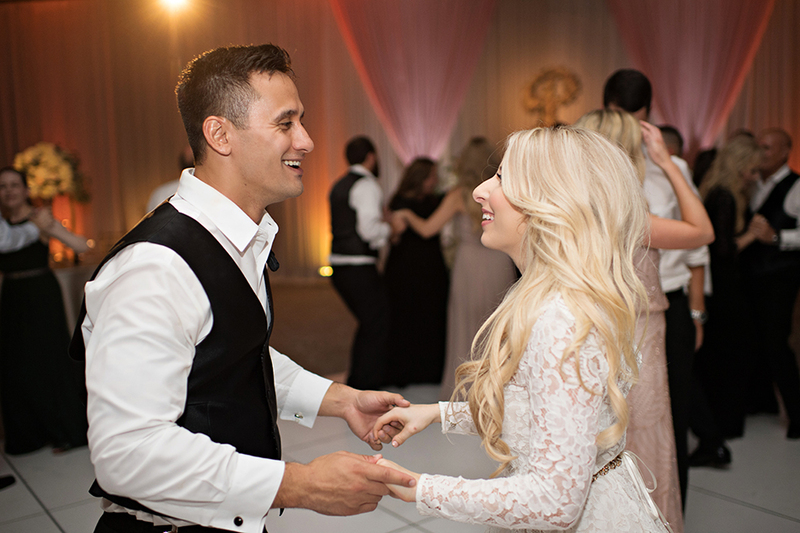 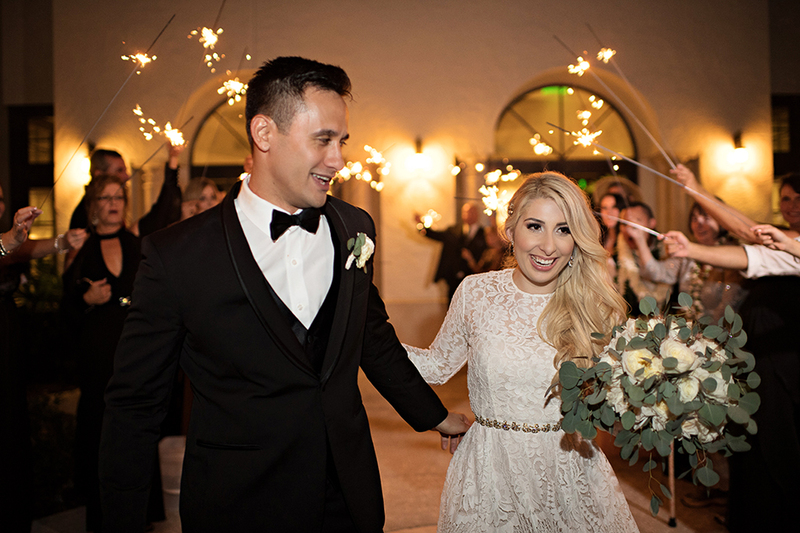 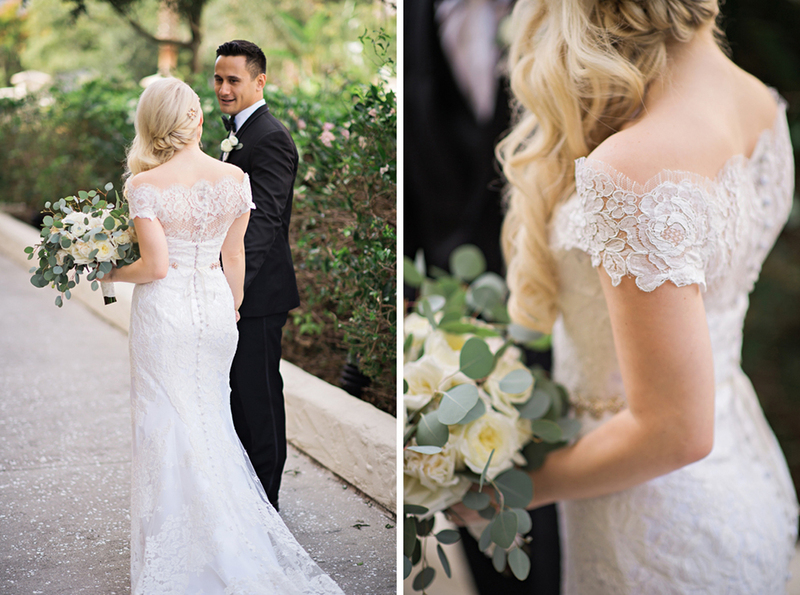 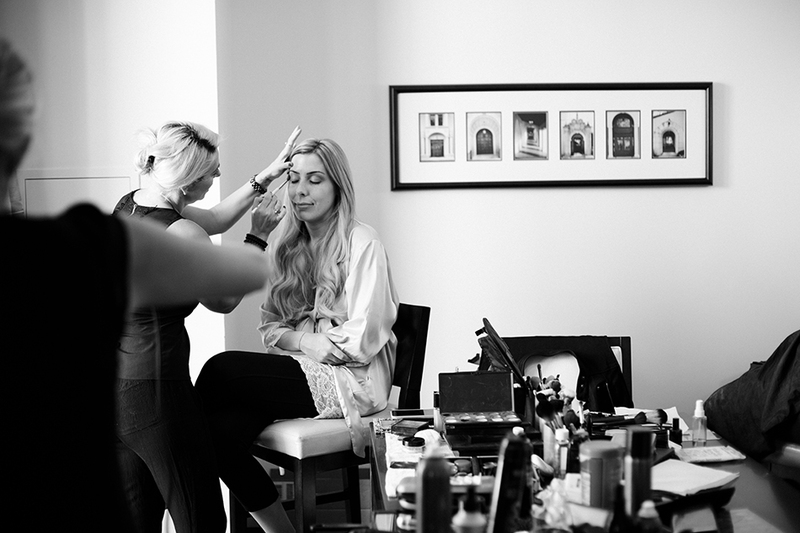 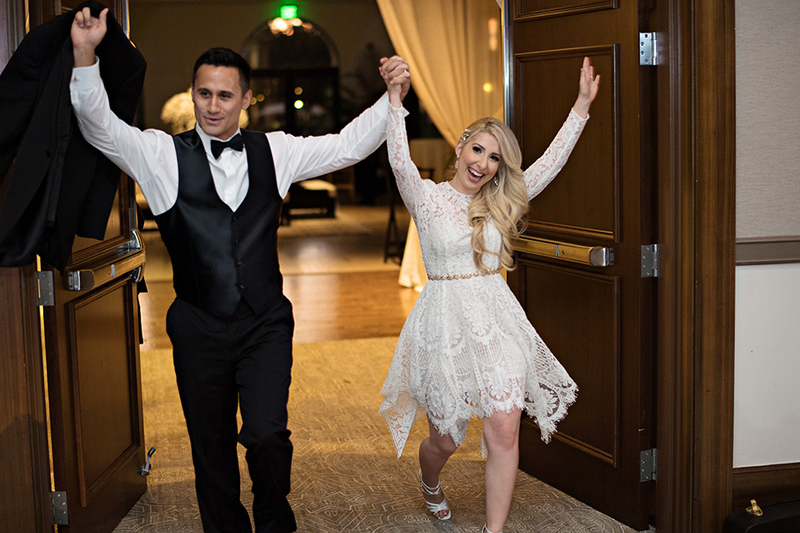 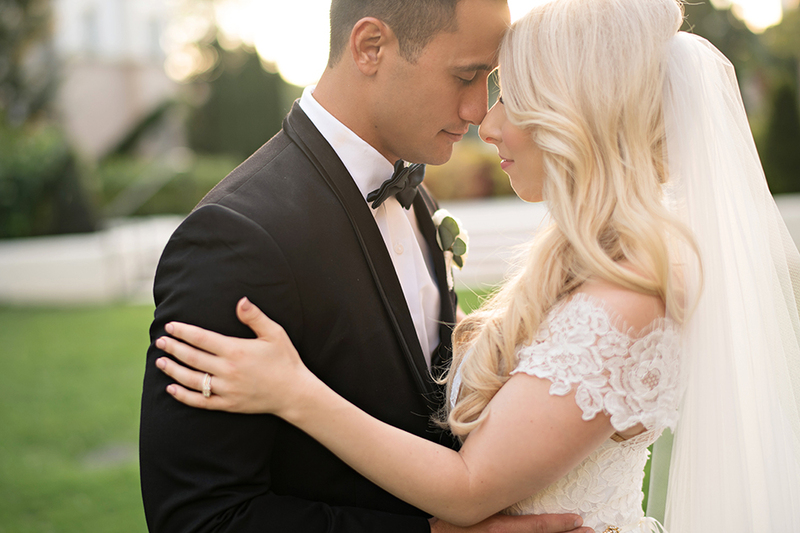 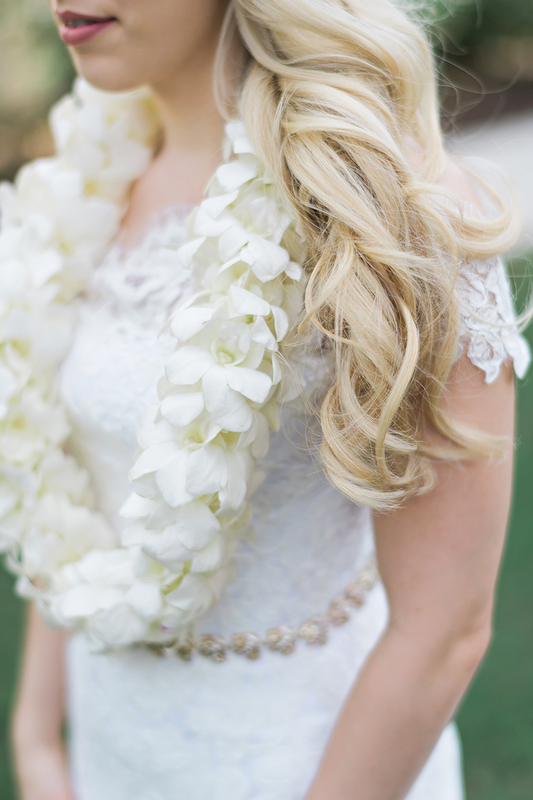 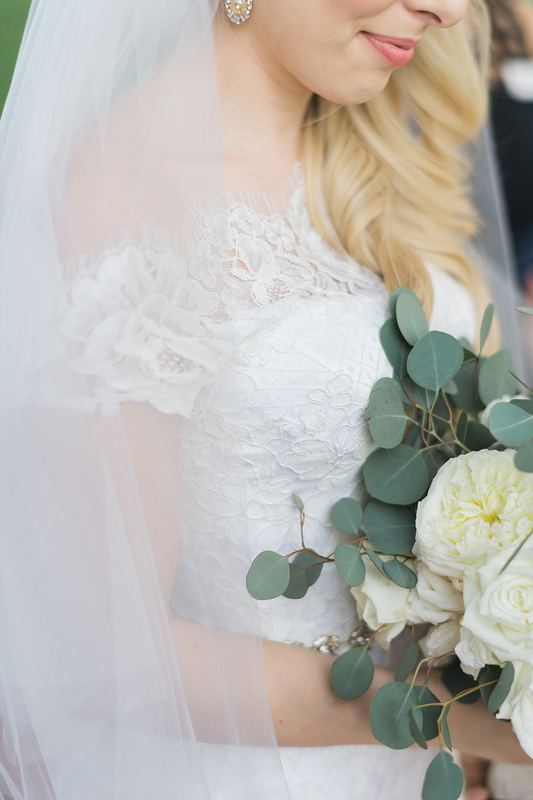 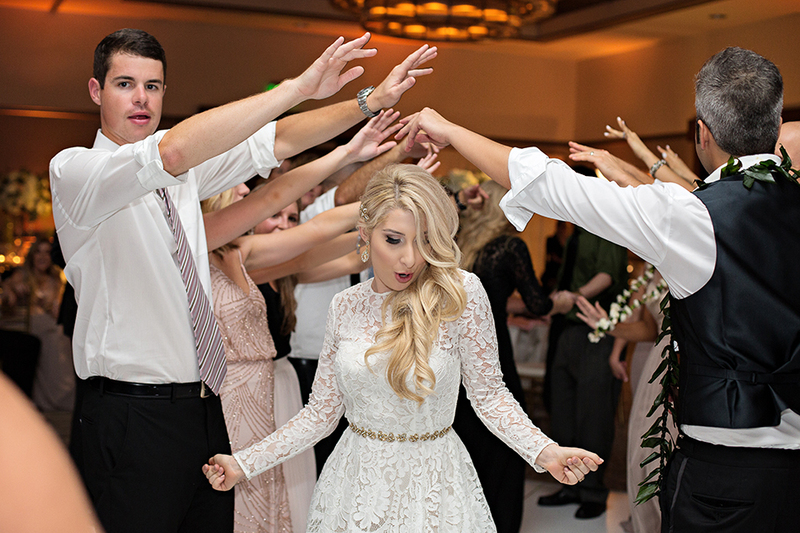 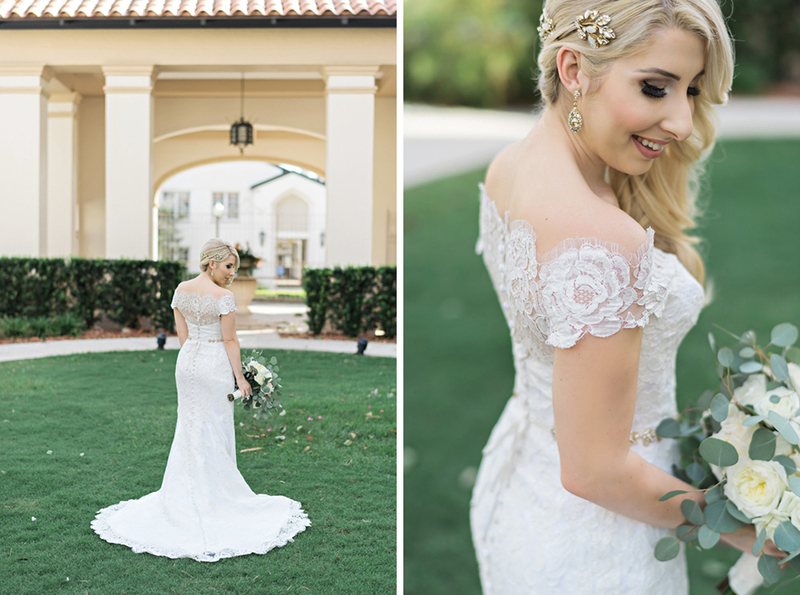 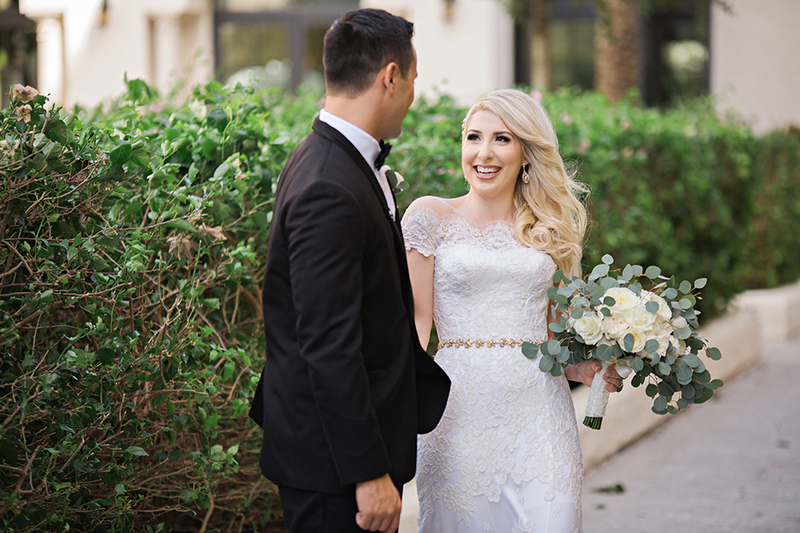 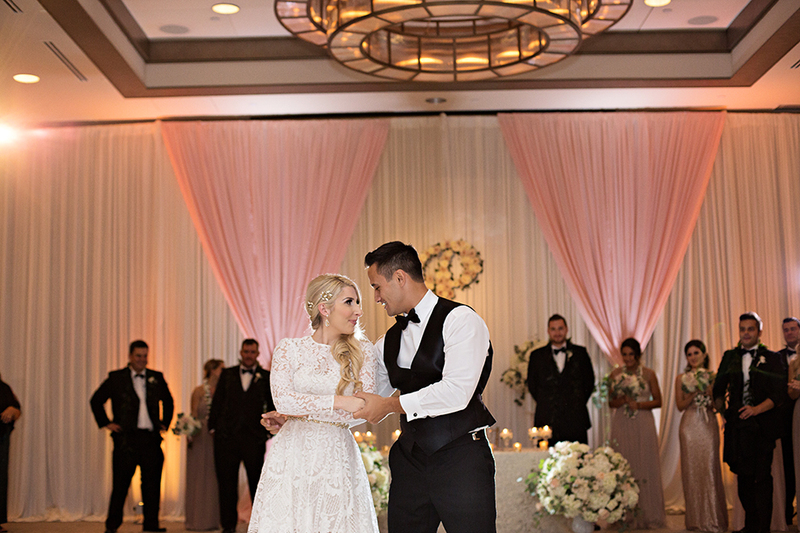 Ashley got ready in a special Girl and a Serious Dream lace robe, and her gown was an off-the-shoulder ivory lace dress from Anna Maier (Solutions Bridal Designer House). 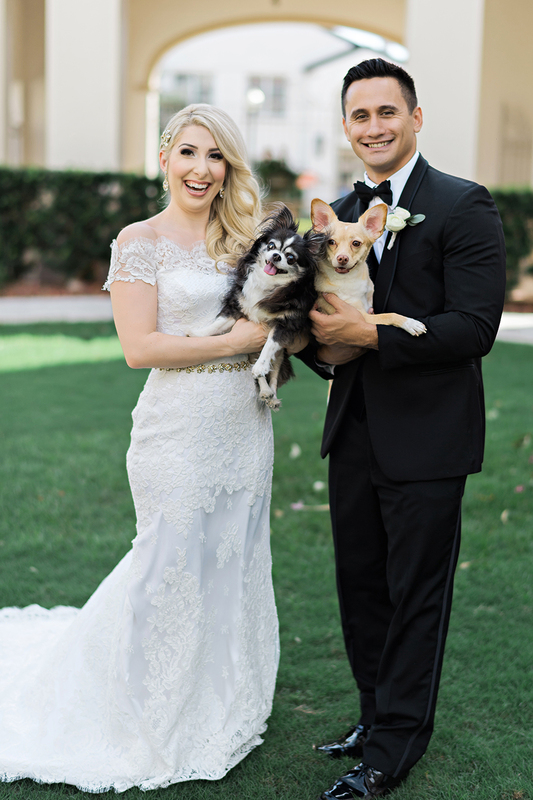 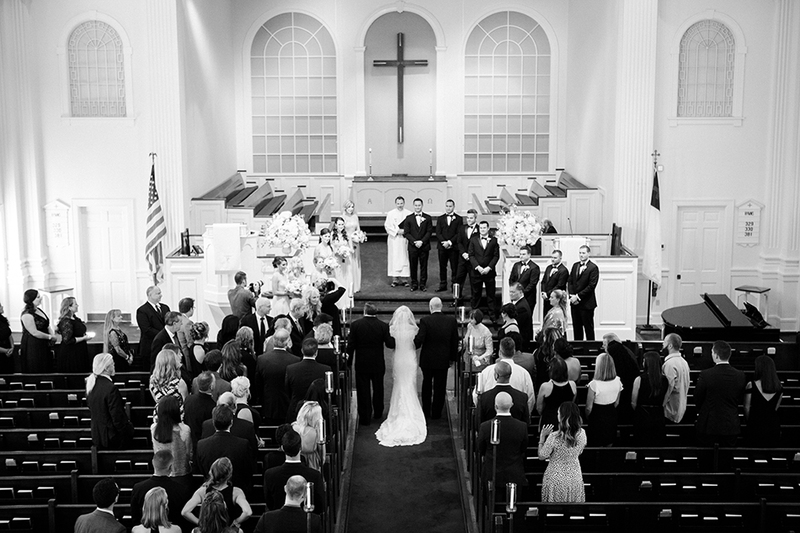 We loved her white The Mrs. 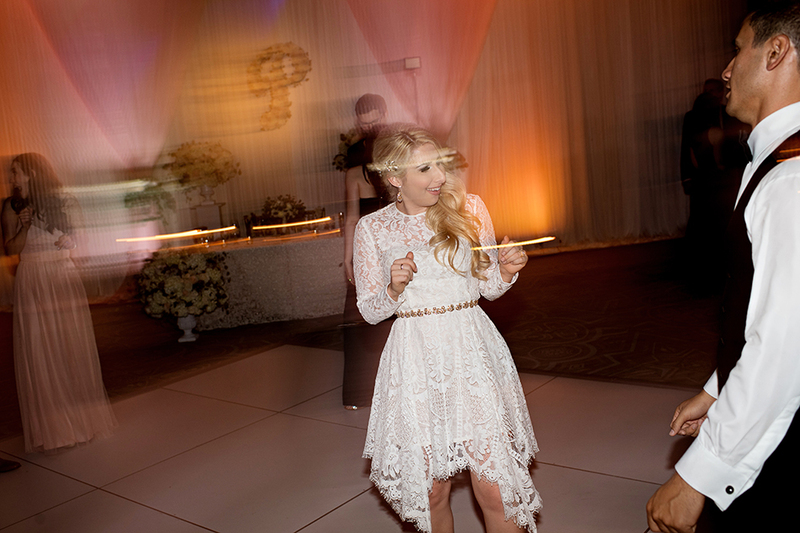 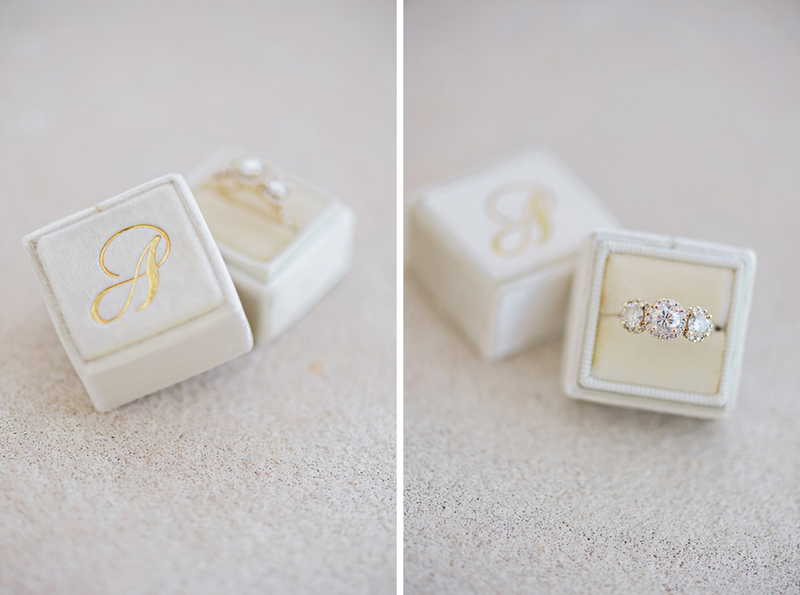 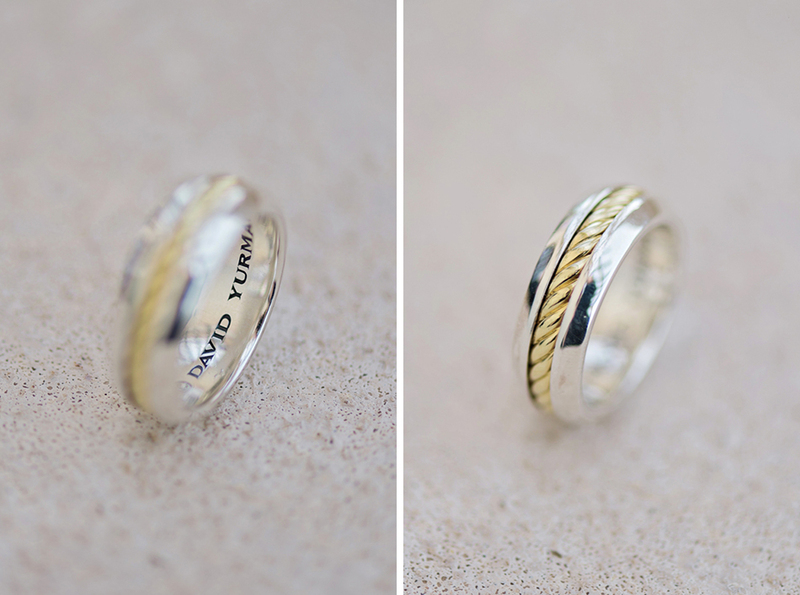 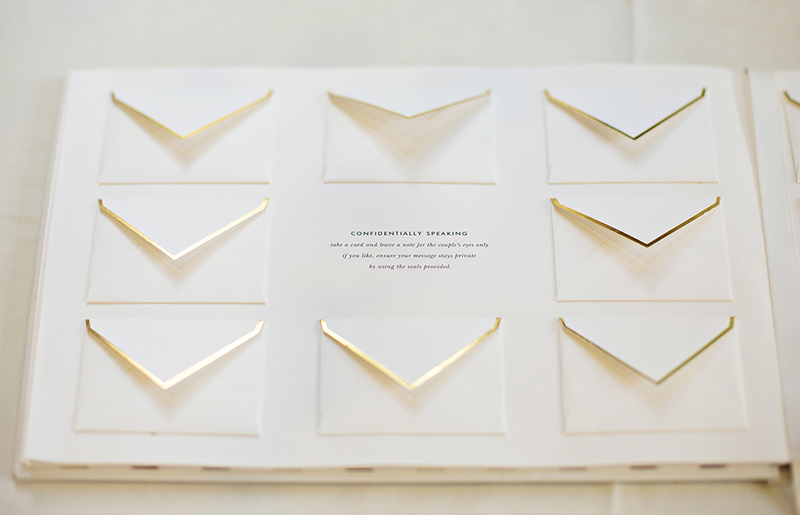 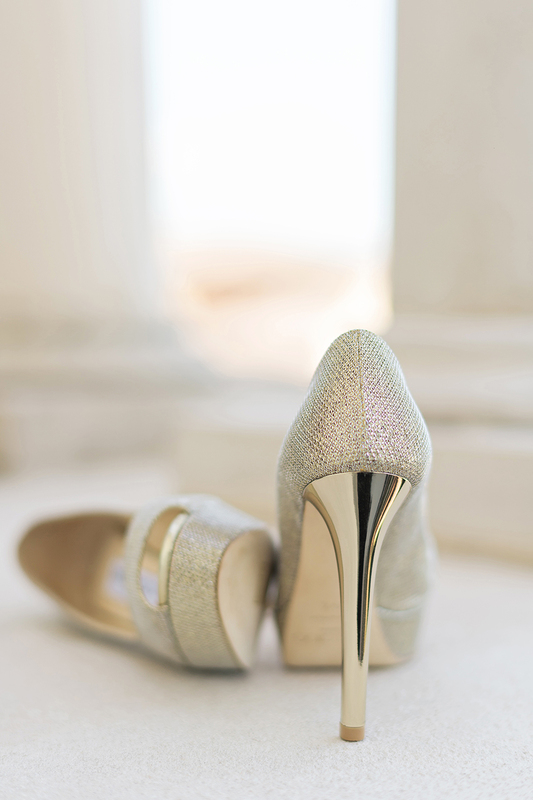 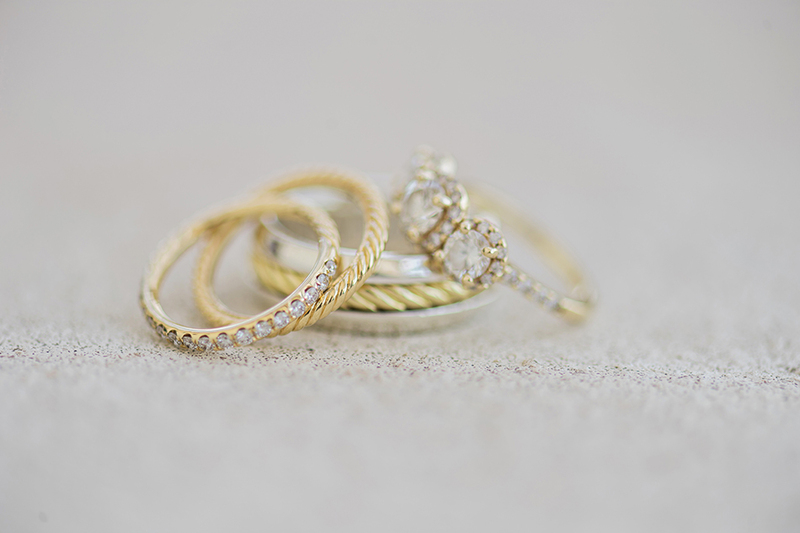 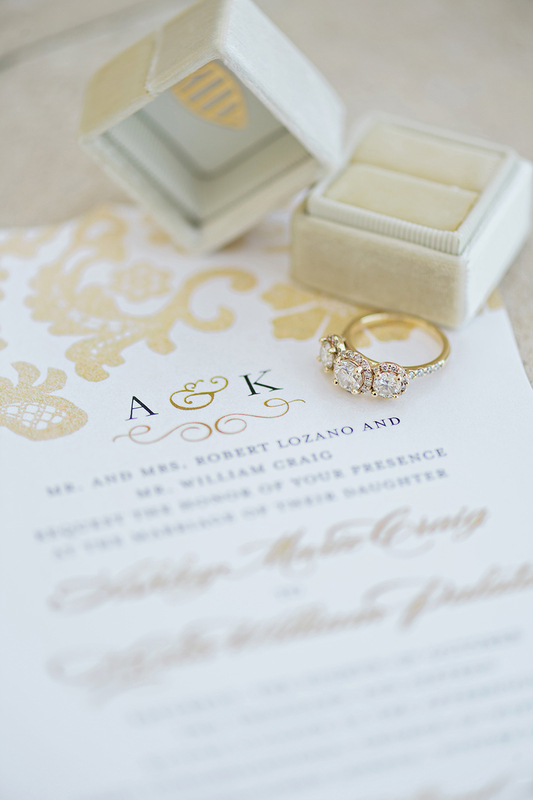 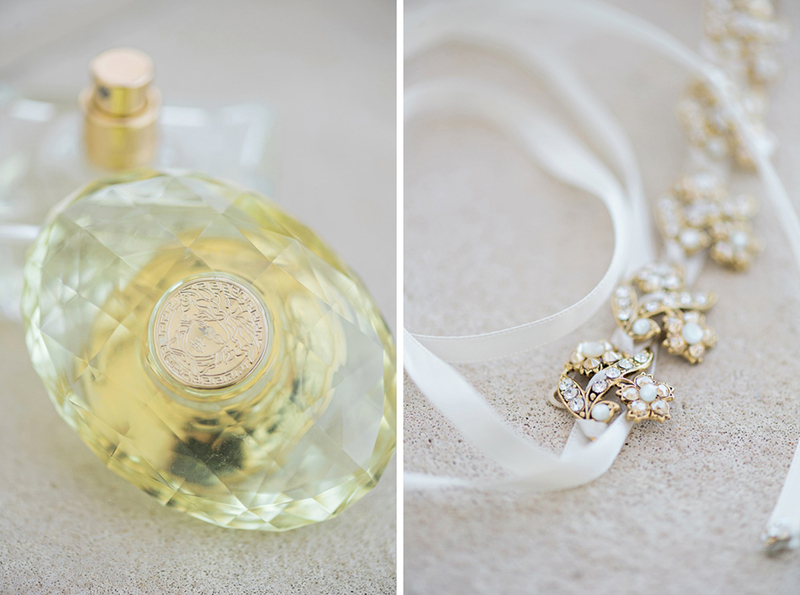 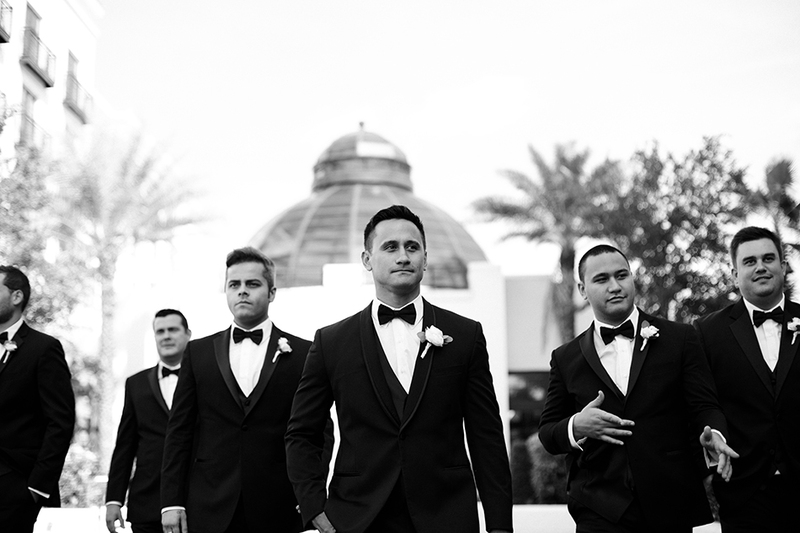 Box ring box and gold Jimmy Choo details – and her special day-of-perfume was Versace.Ashley and Kurt spent their honeymoon in Punta Cana and are now getting back to real life in their new home in Orlando! 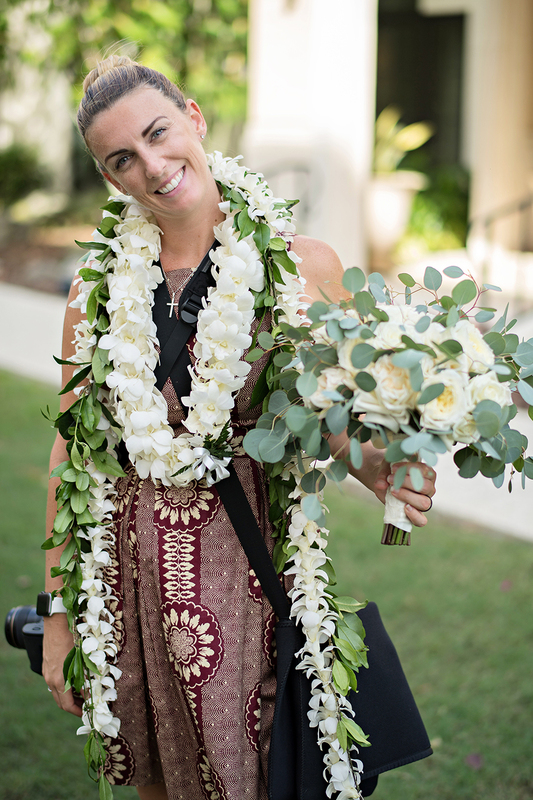 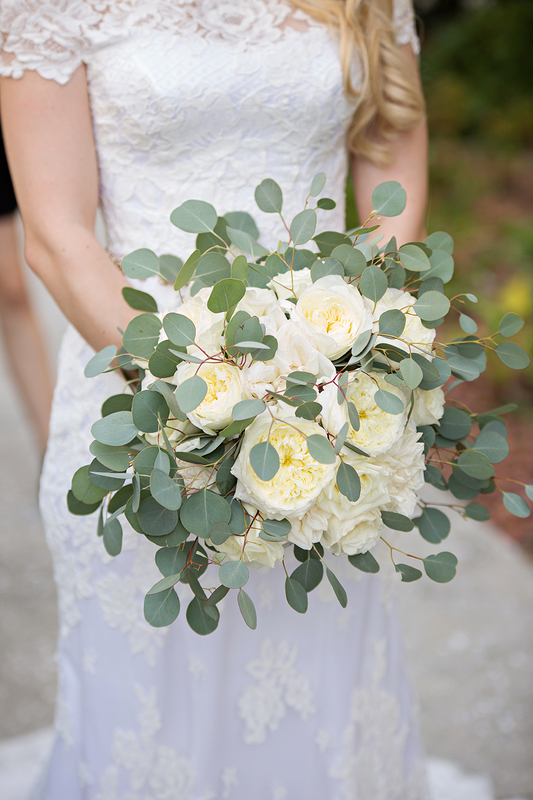 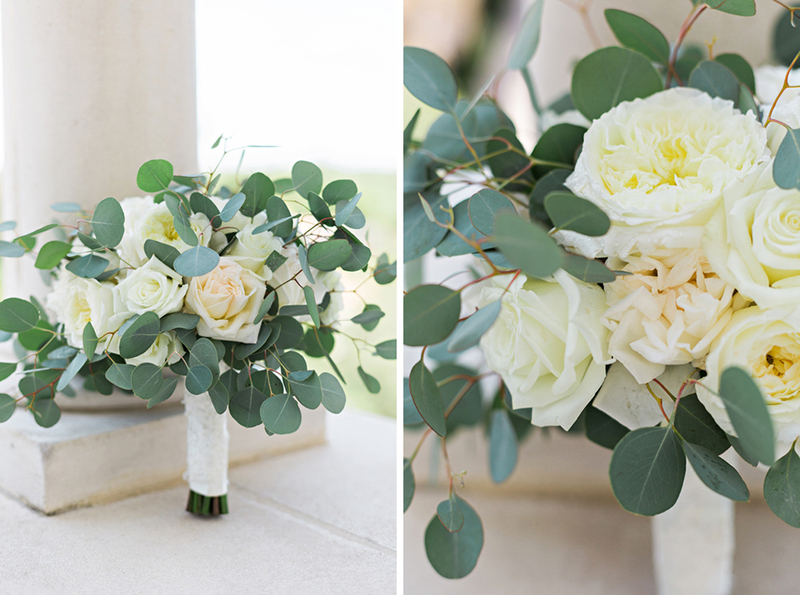 When your second shooter gets stuck holding ALL the floral :) Thanks, Steph! 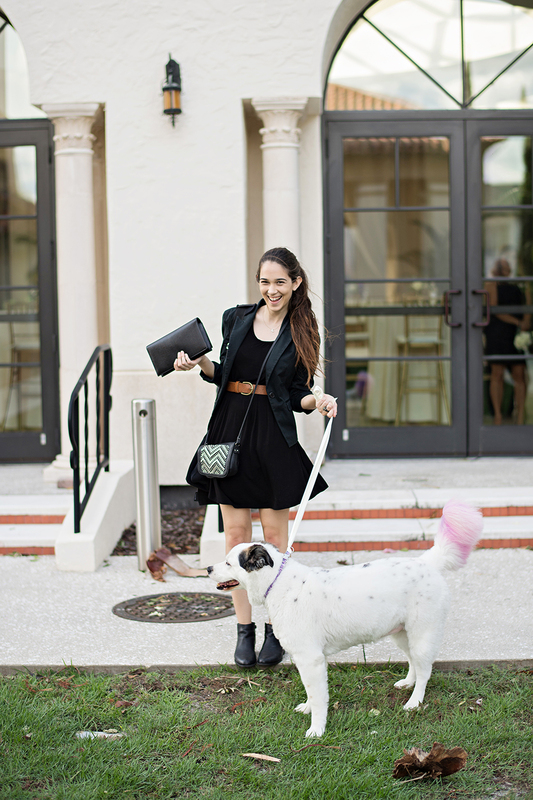 And when your intern, Lexie, gets to hang out with the “flower girl” :) Thanks, Lexie! 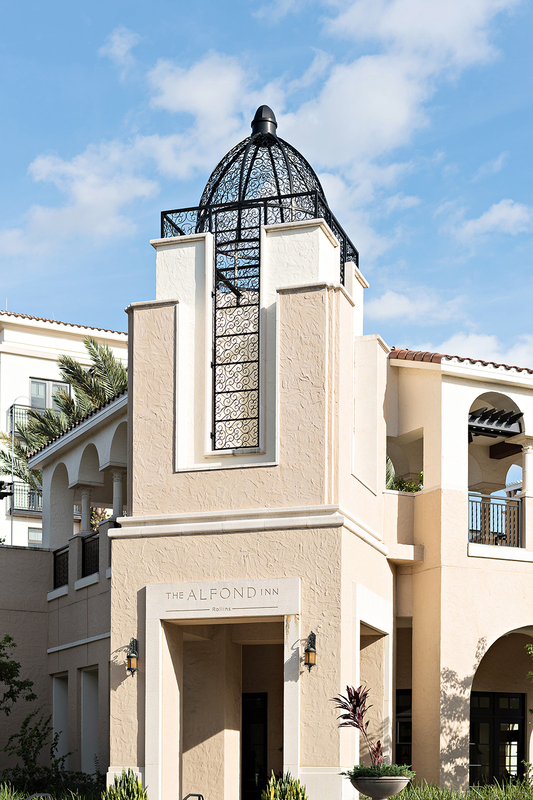 The Alfond Inn didn’t completely escape Hurricane Matthew!